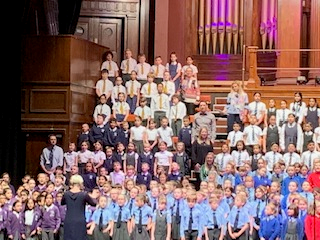 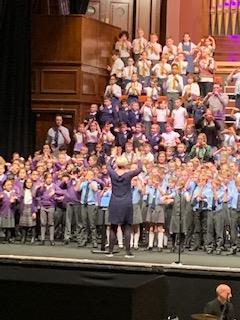 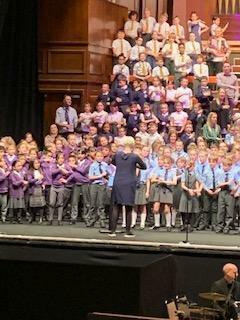 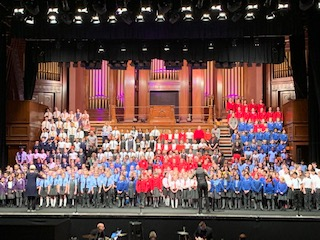 A couple of pictures from Sing Together 2019. 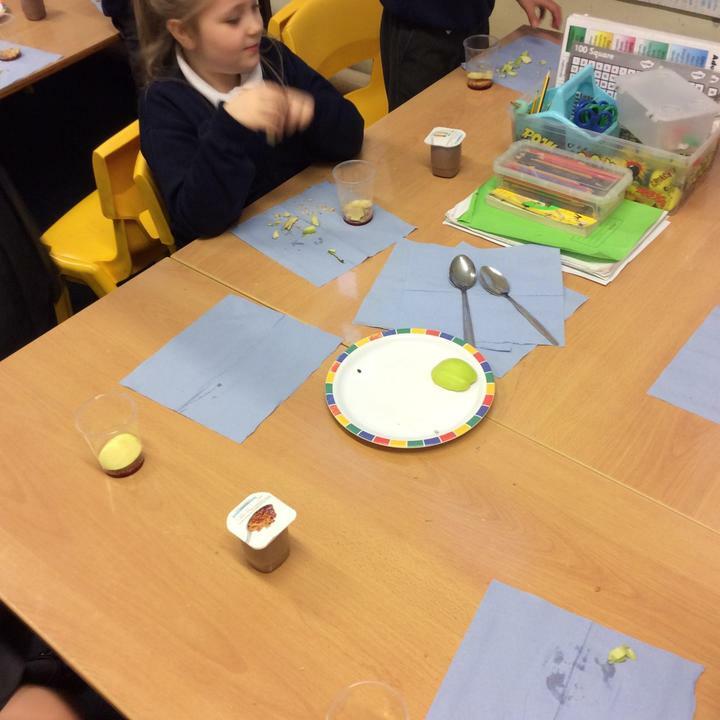 The children had a fantastic time and we are extremely proud of them. 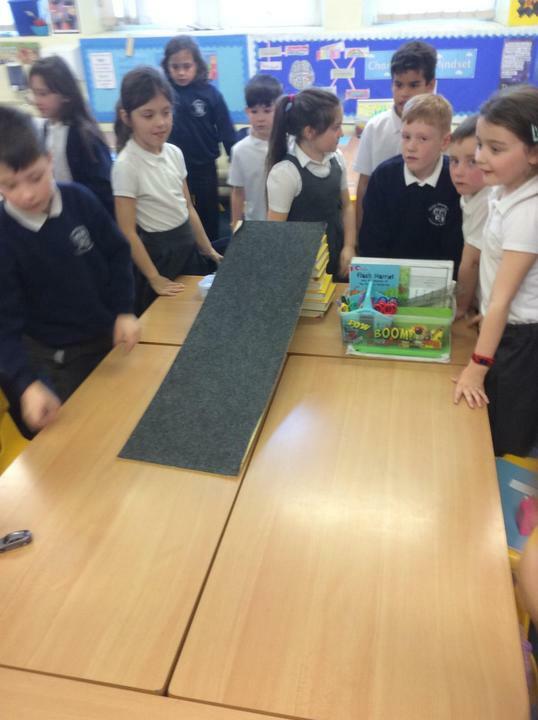 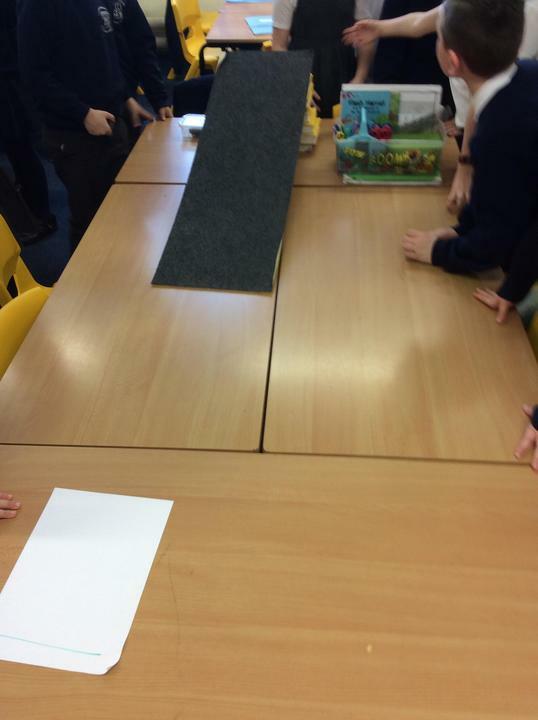 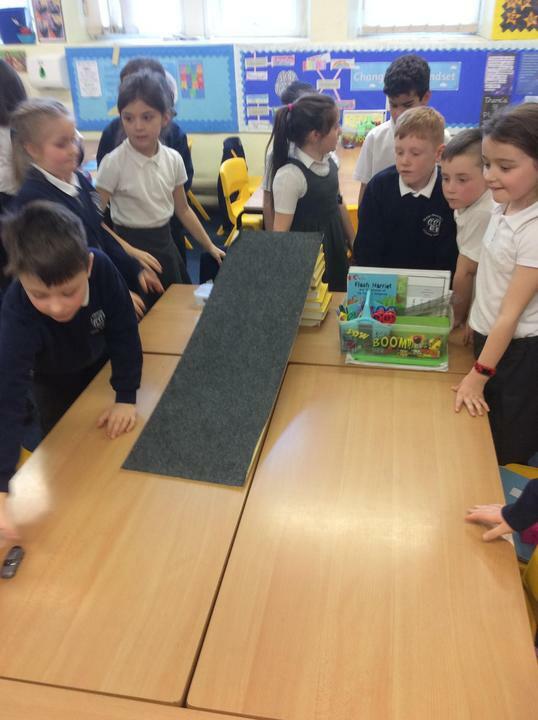 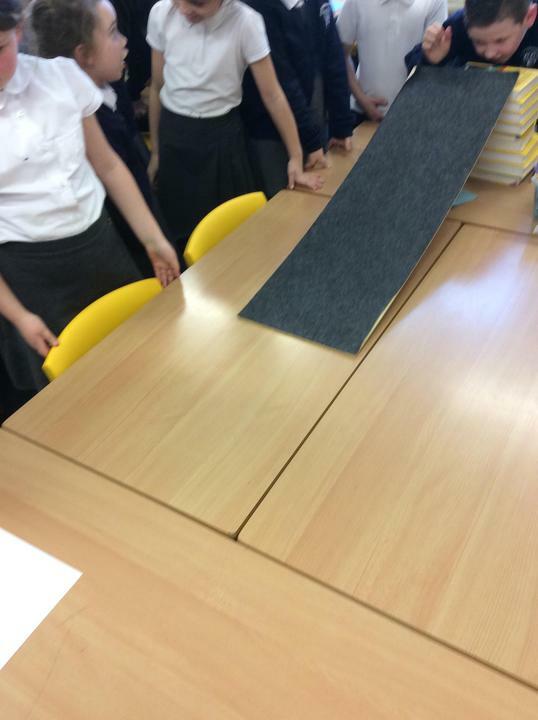 The children were investigating the effects of height in the speed and distance travelled by a car from a ramp. 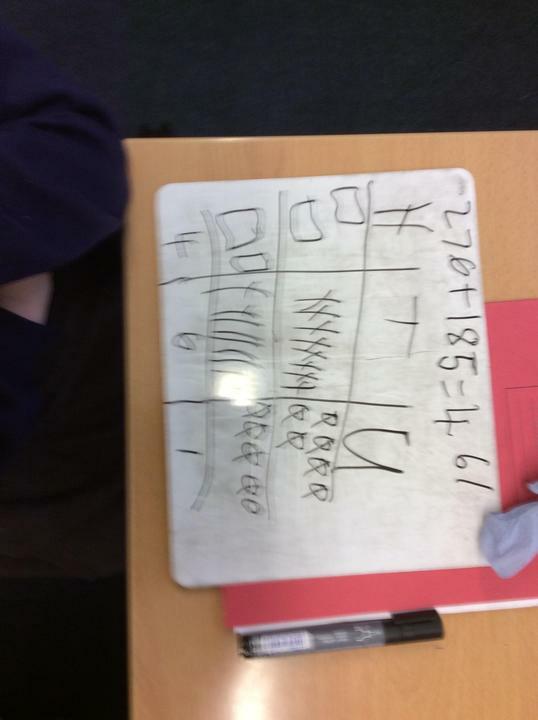 We had good fun predicting our results. 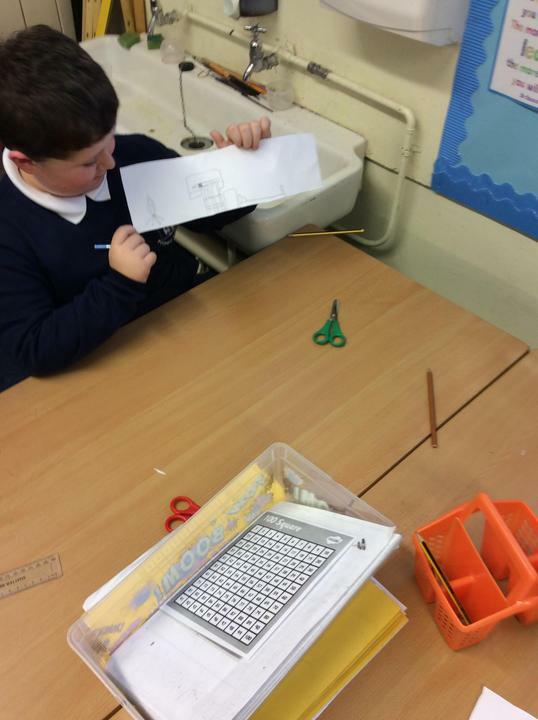 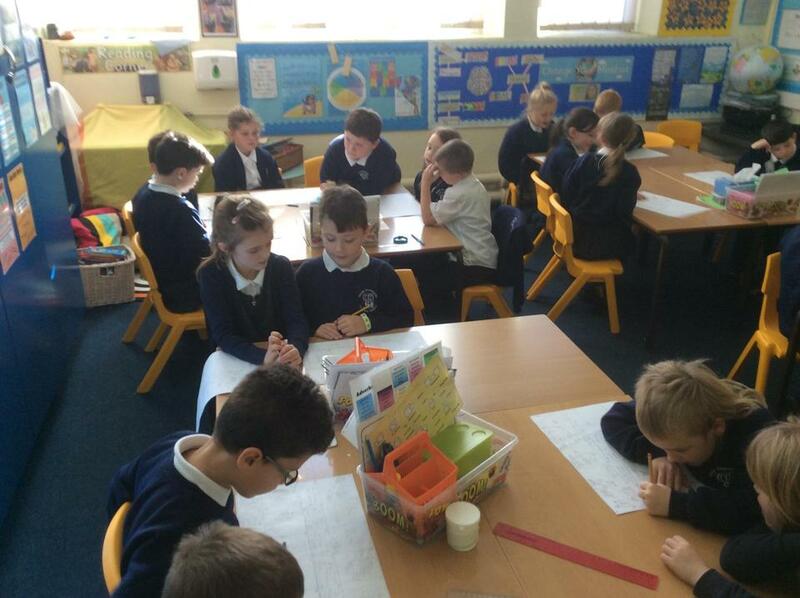 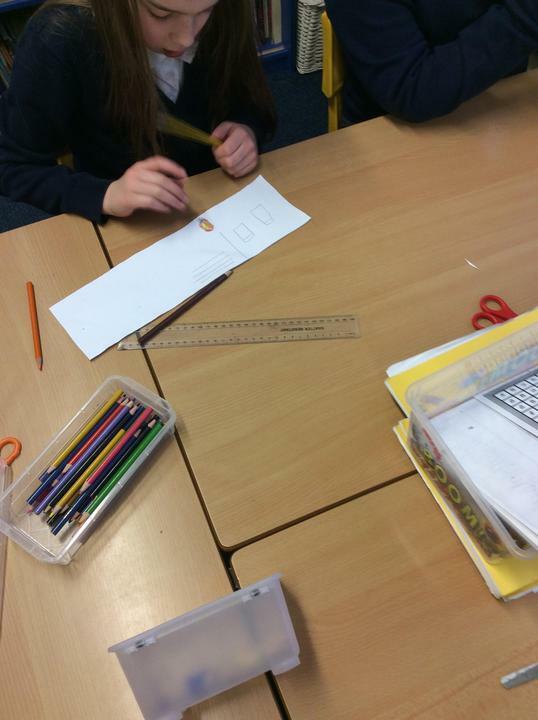 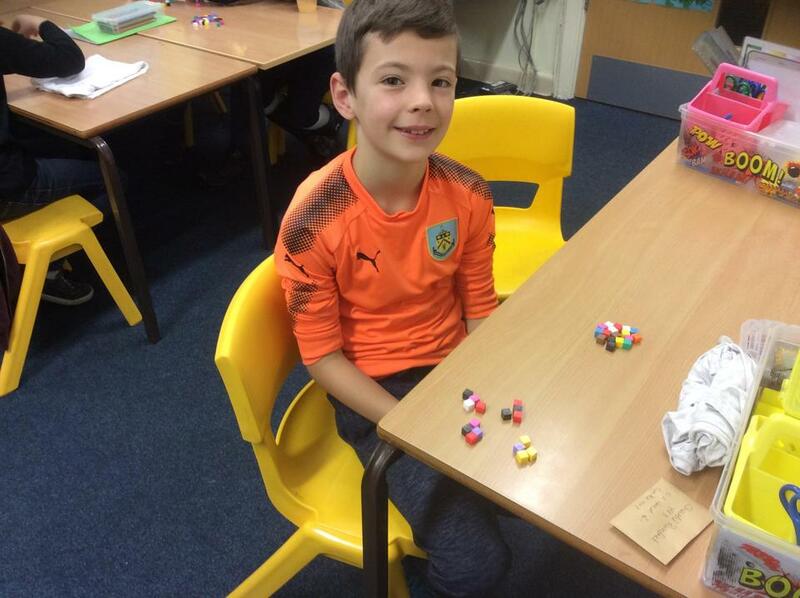 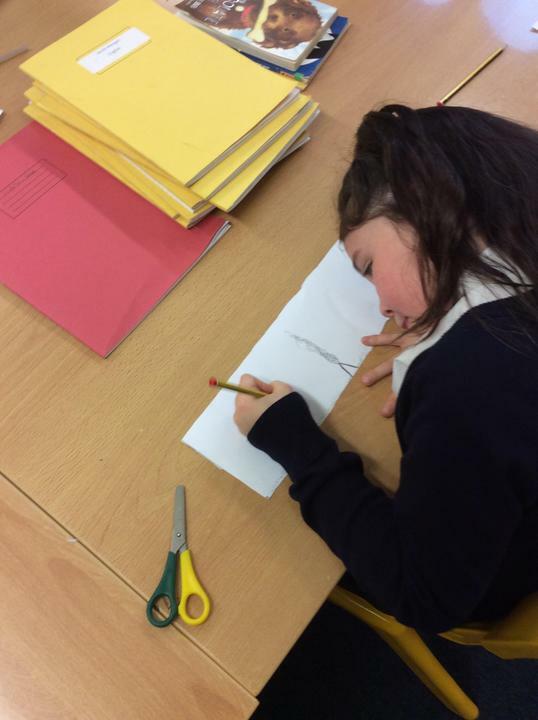 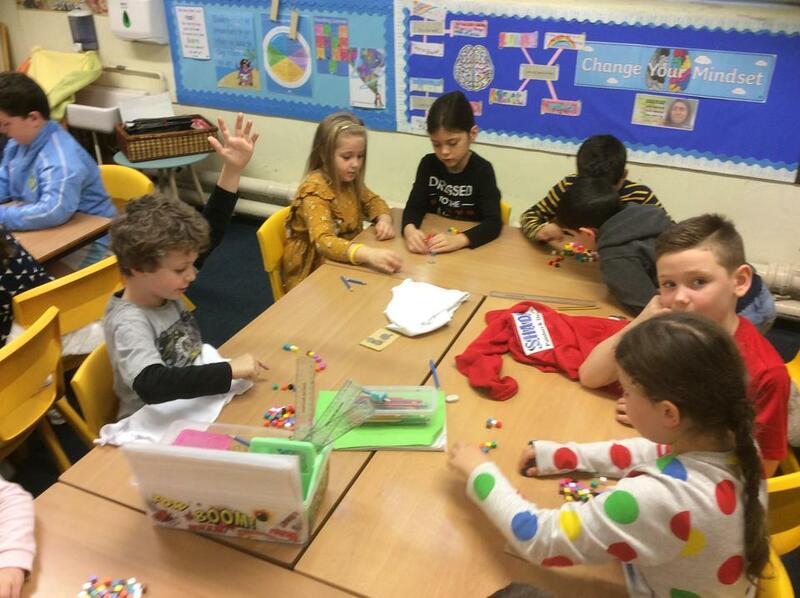 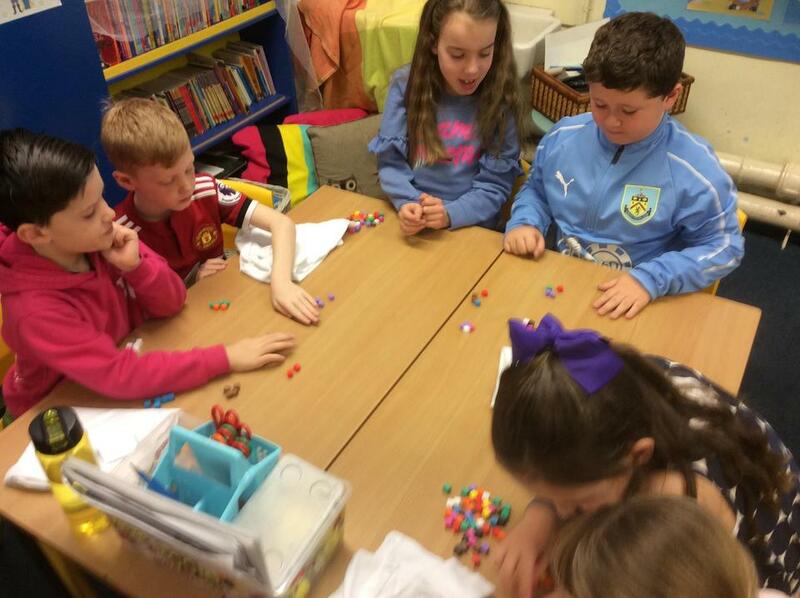 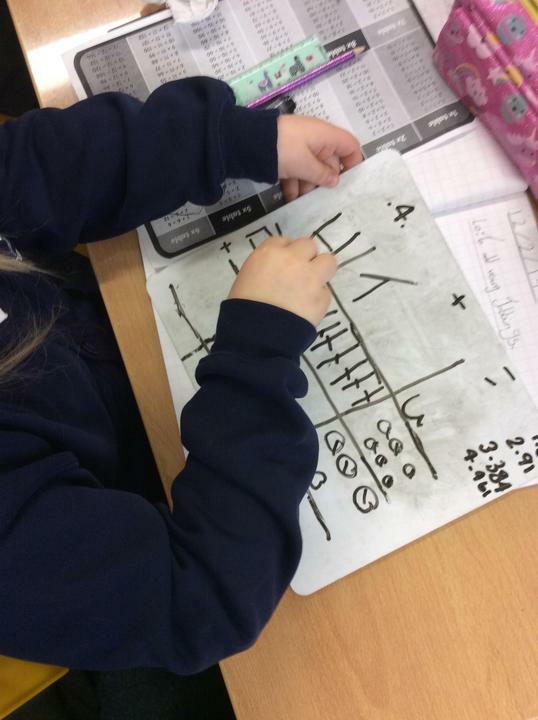 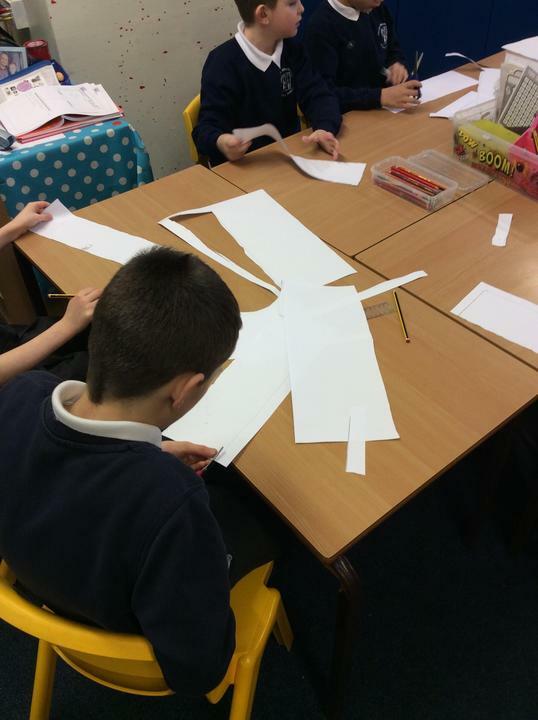 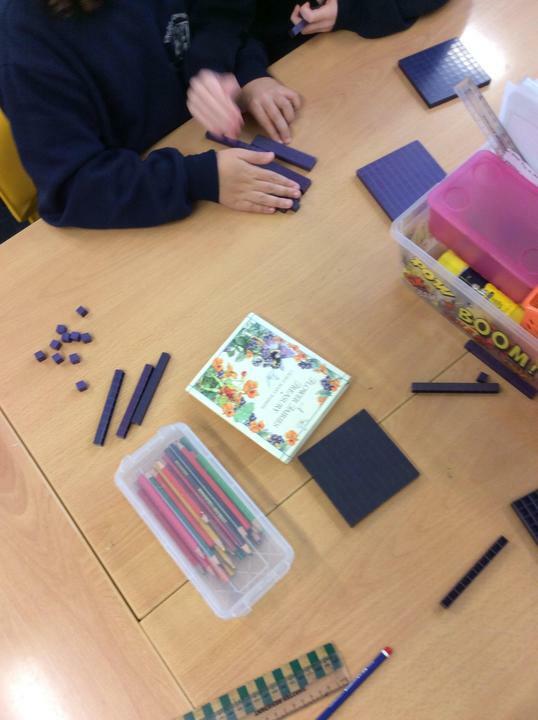 The children getting hands on with some practical maths work. 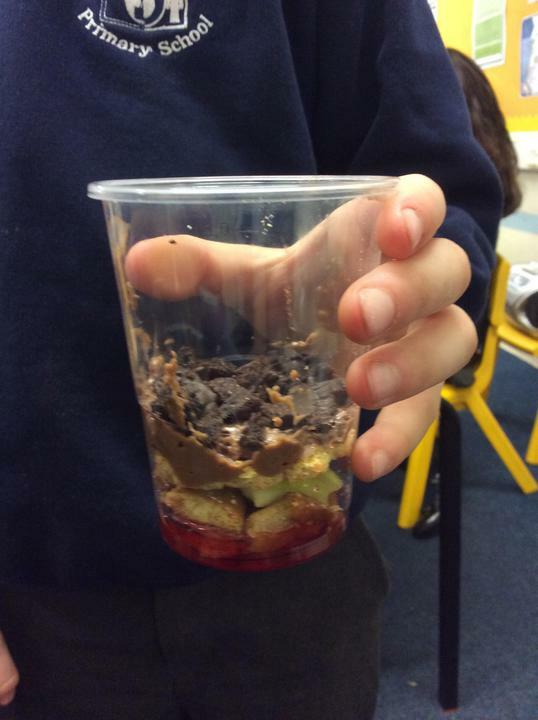 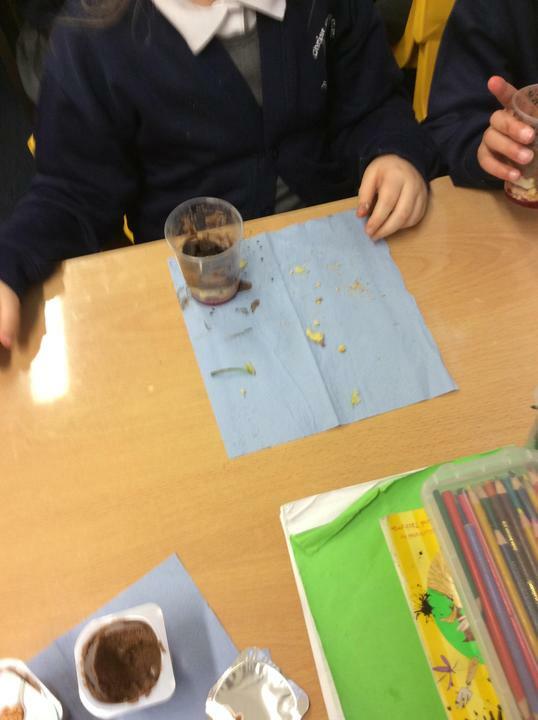 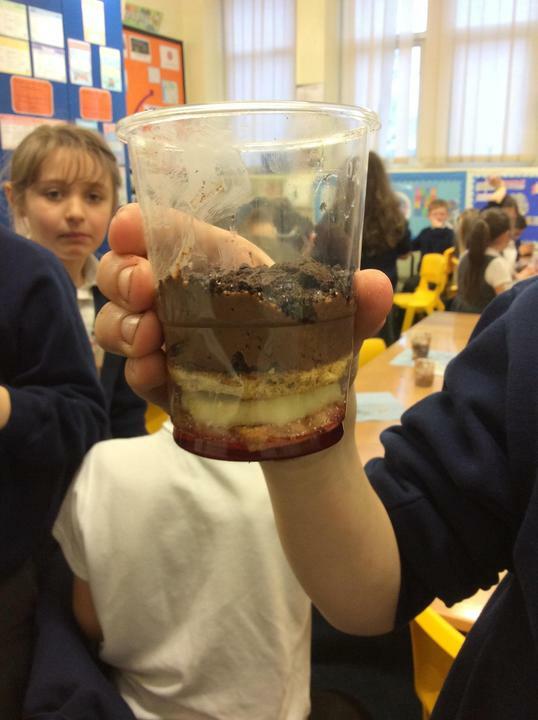 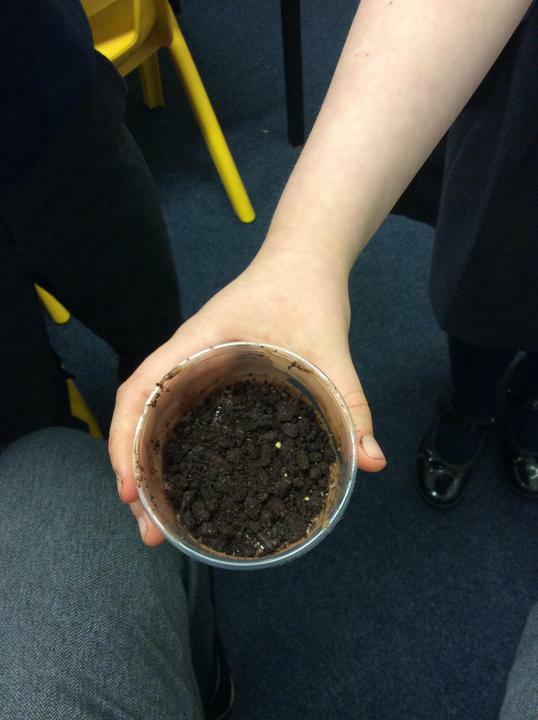 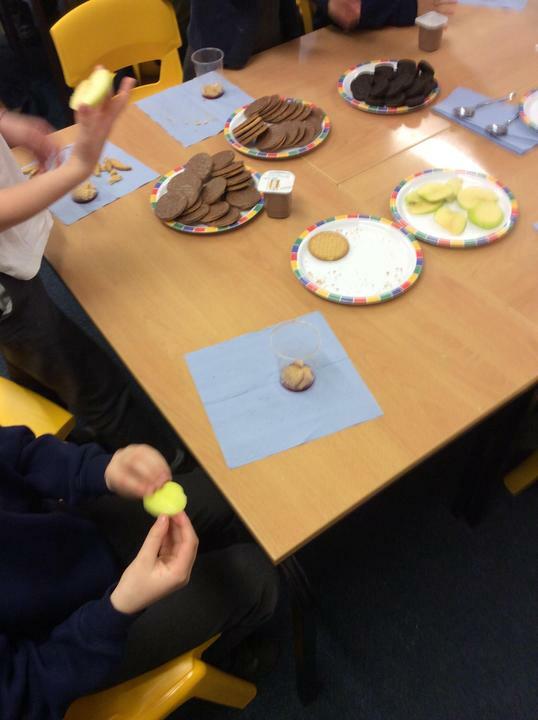 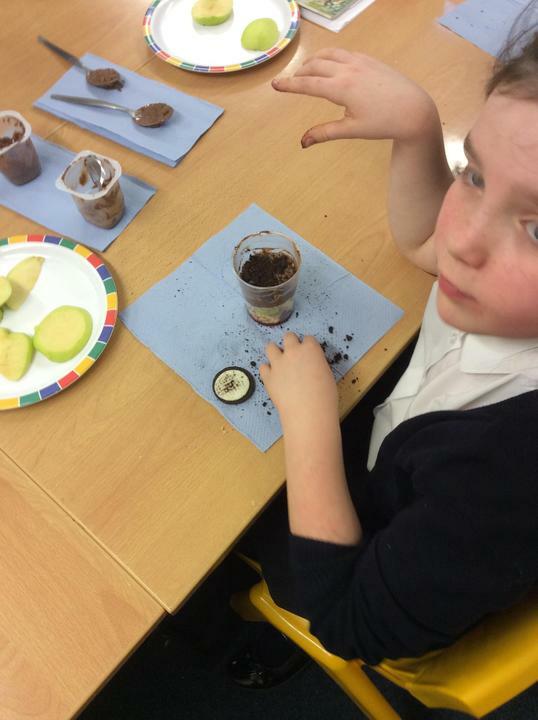 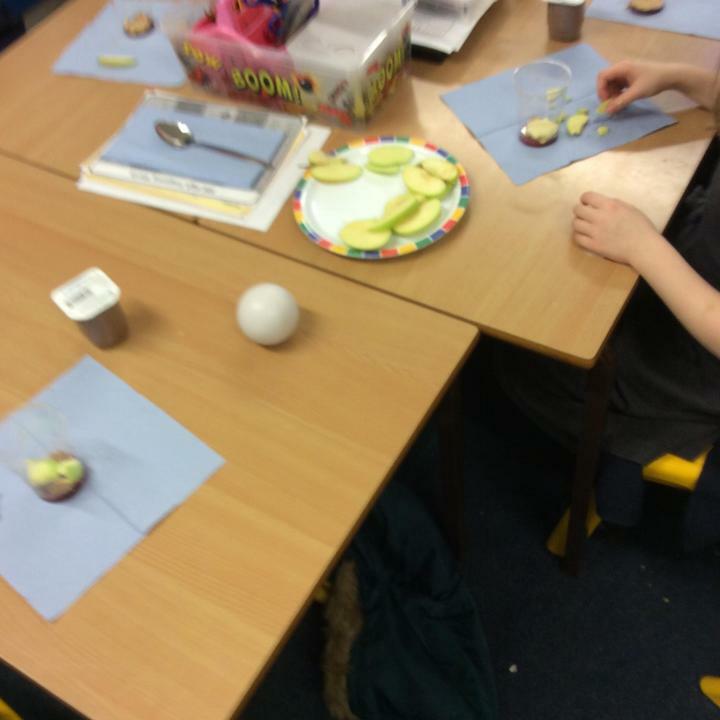 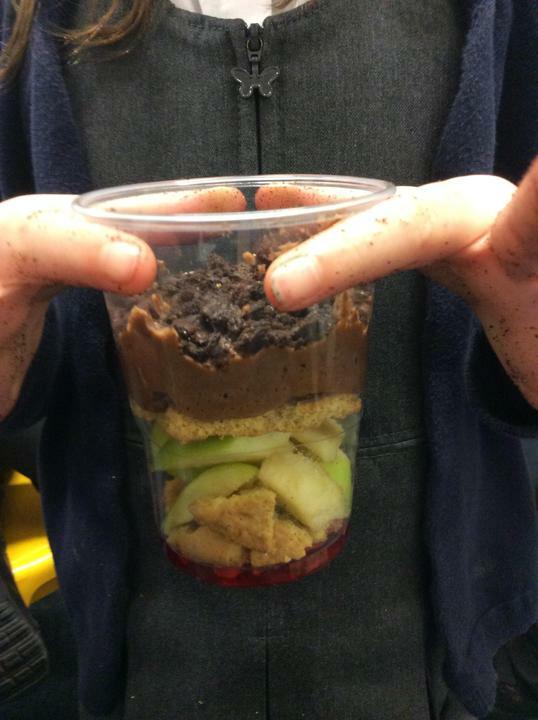 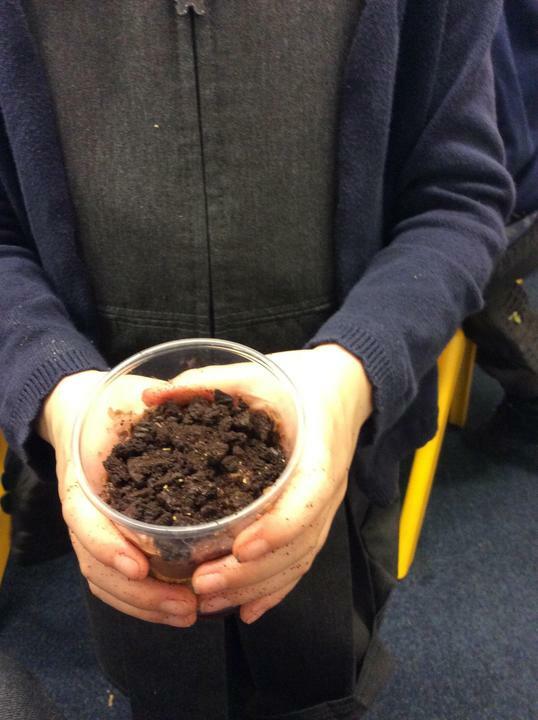 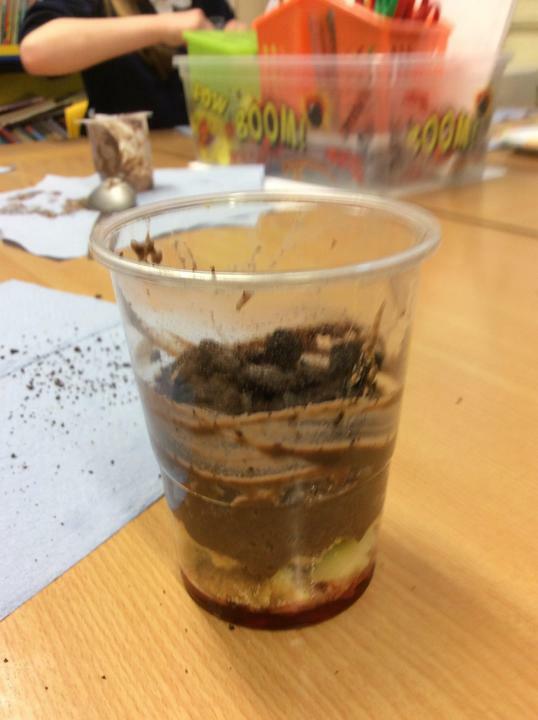 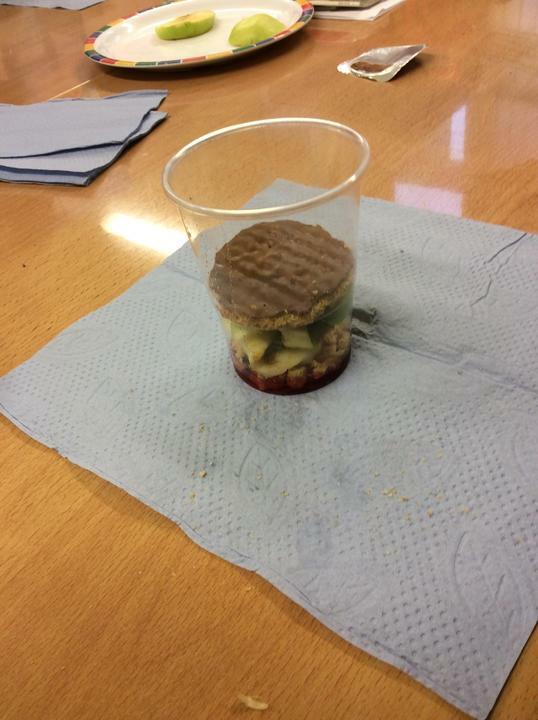 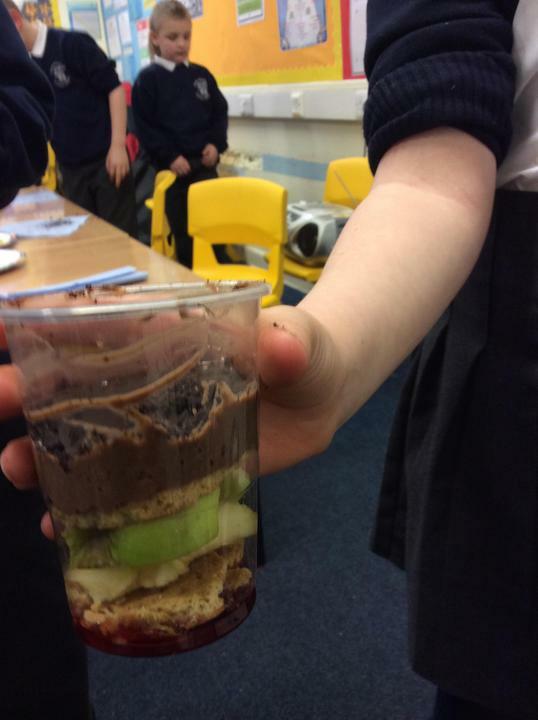 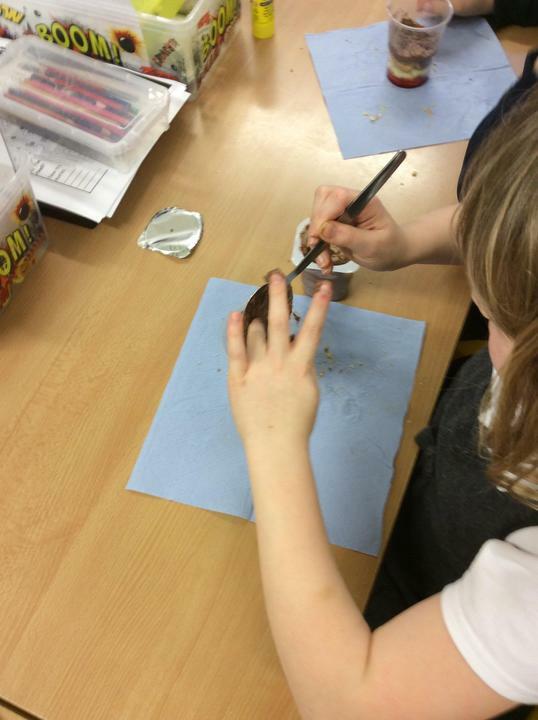 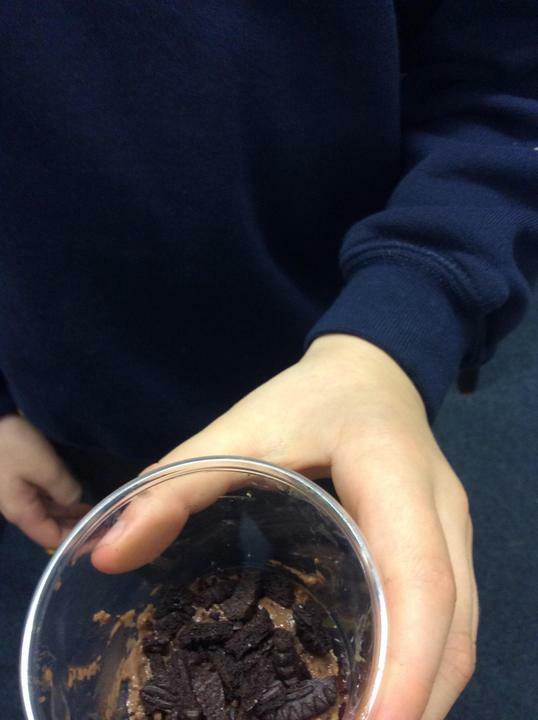 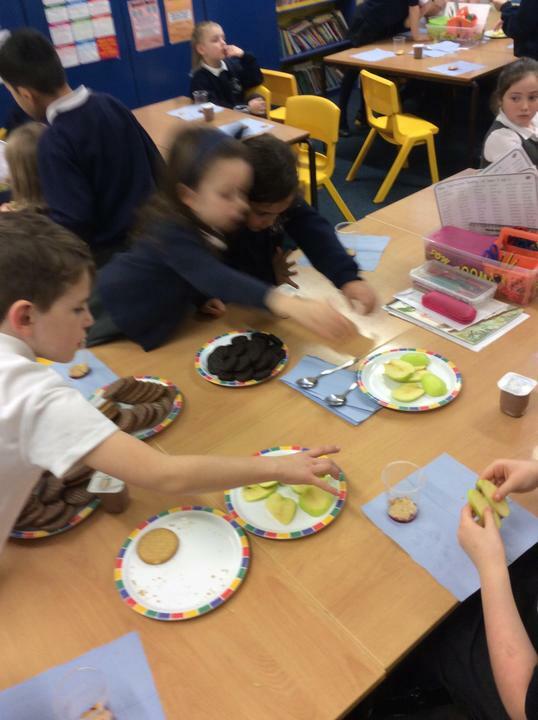 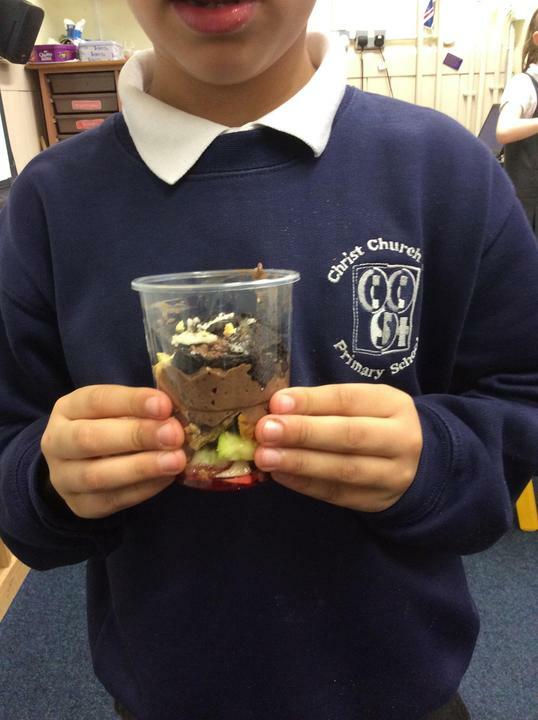 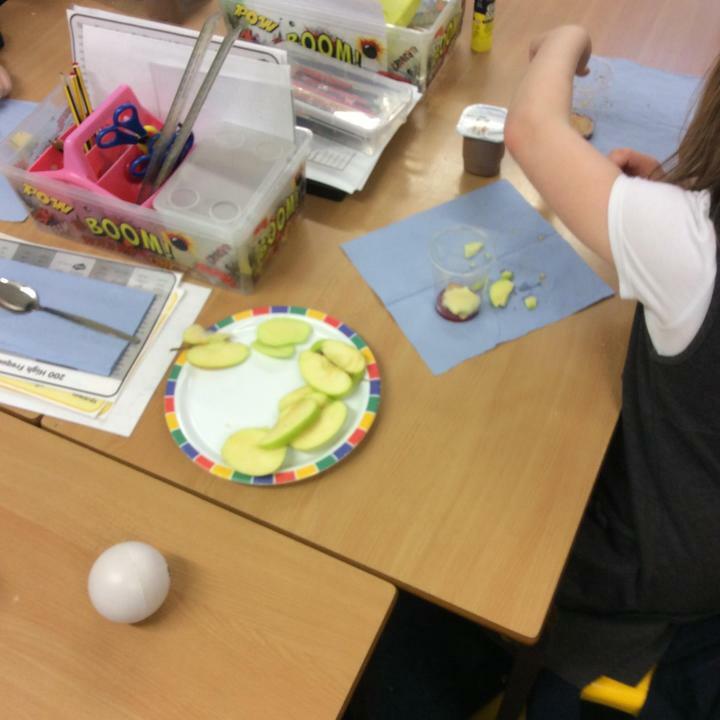 The children loved making their 'dirt pudding' and had even more fun eating them! 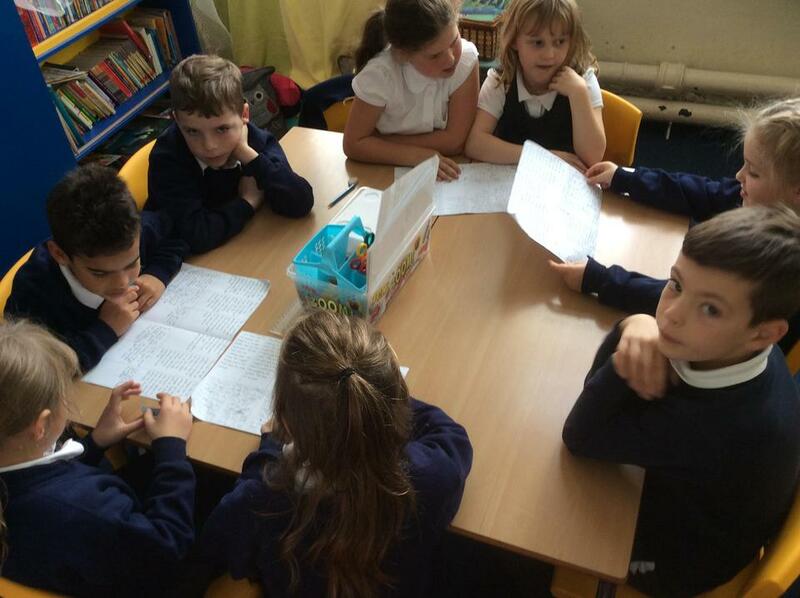 Ask your children all about what they had to do. 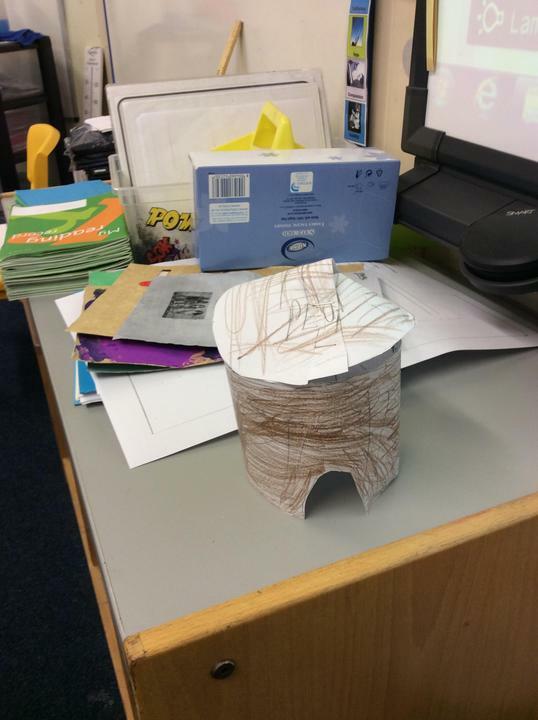 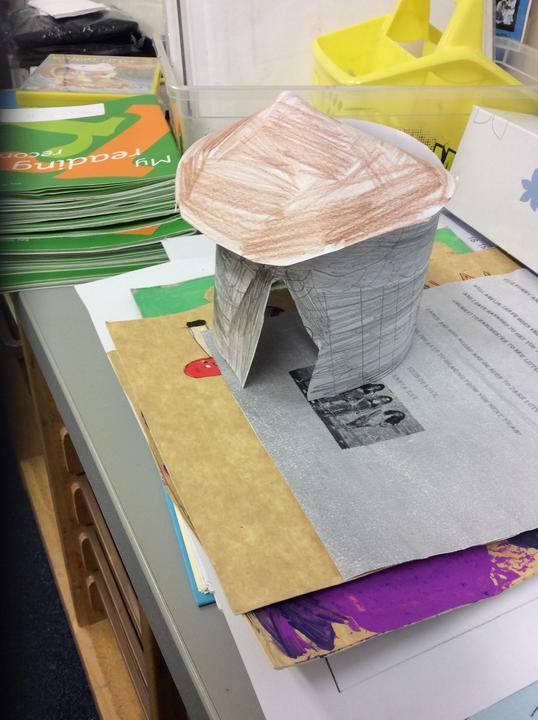 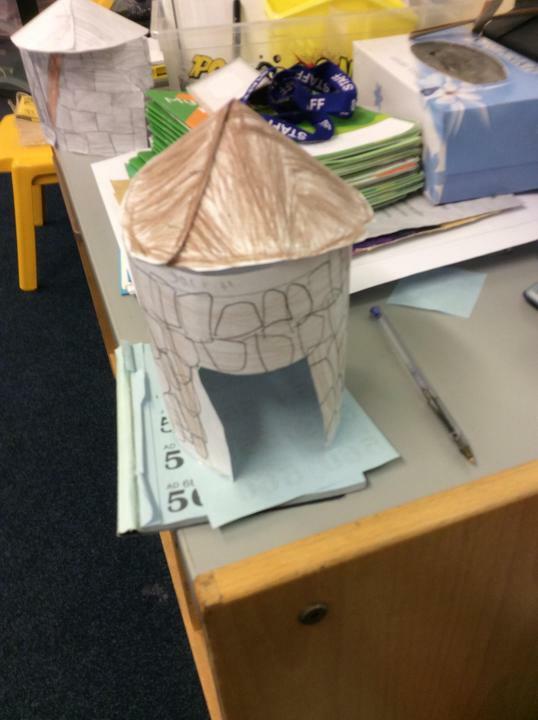 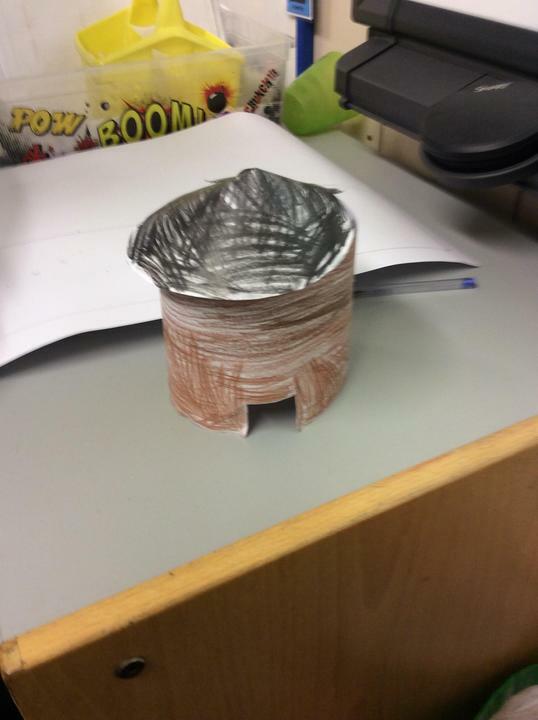 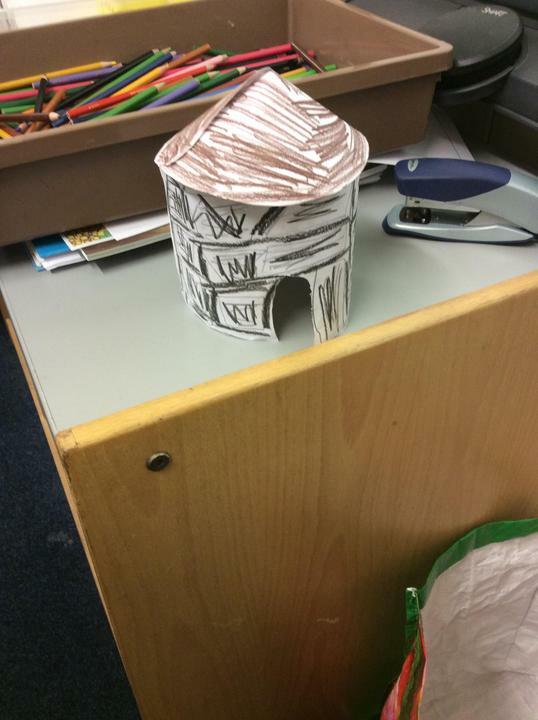 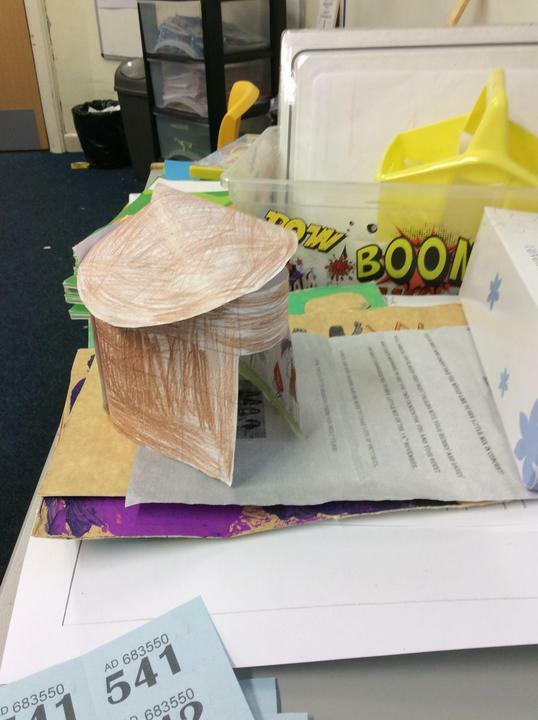 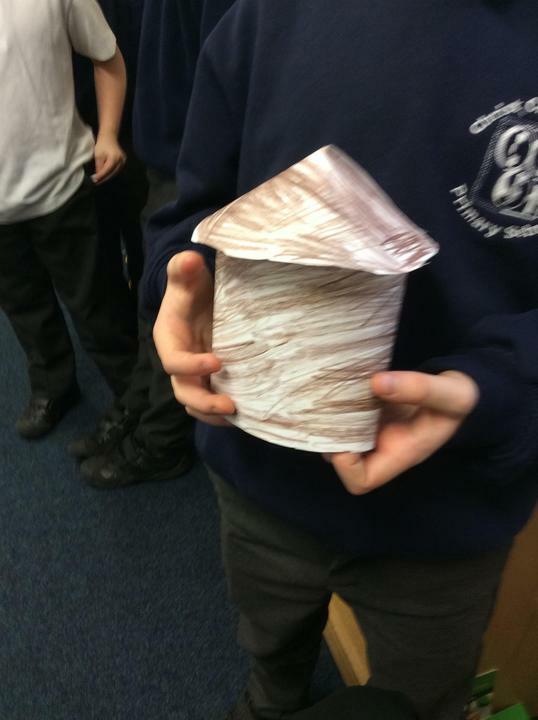 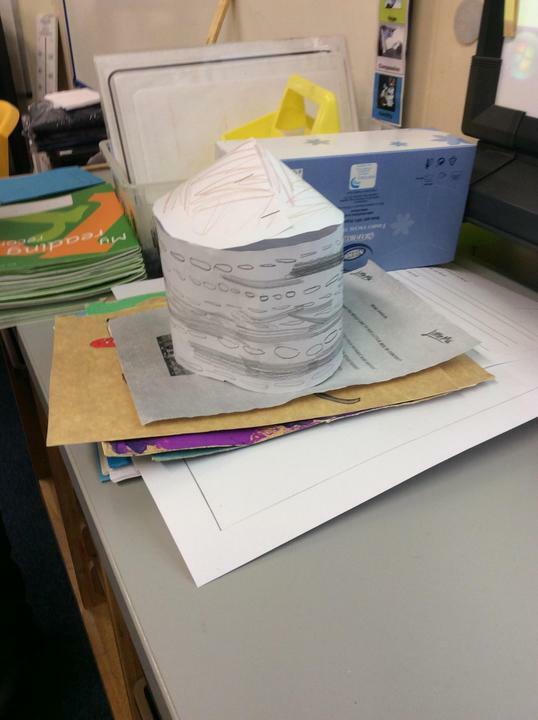 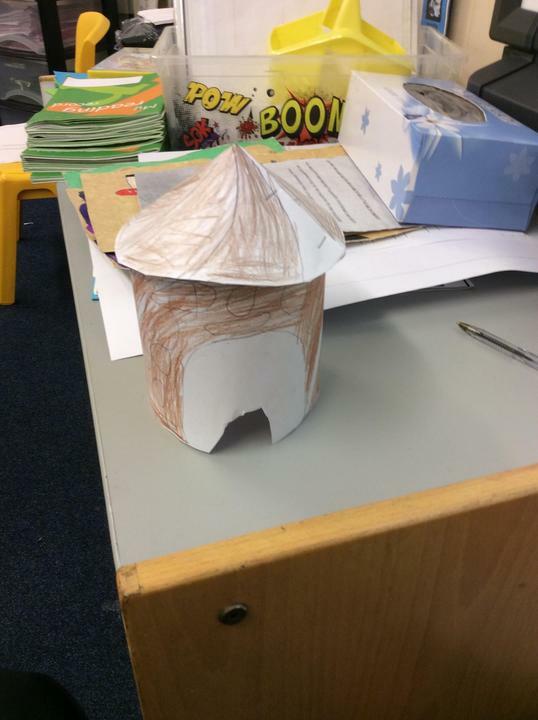 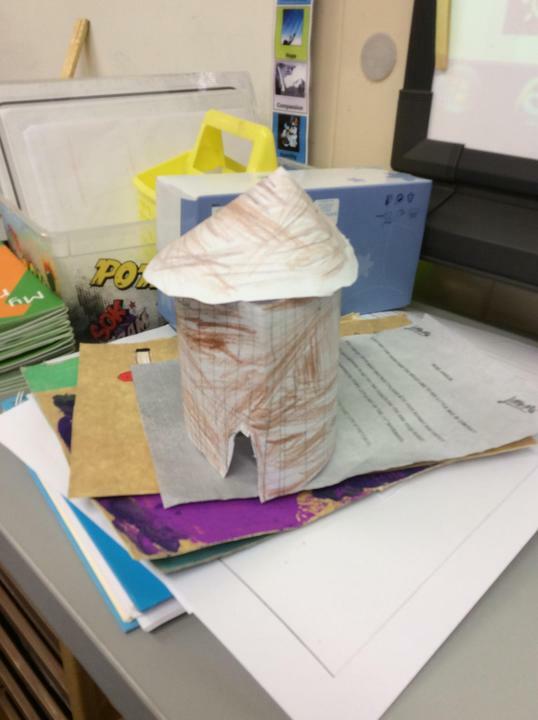 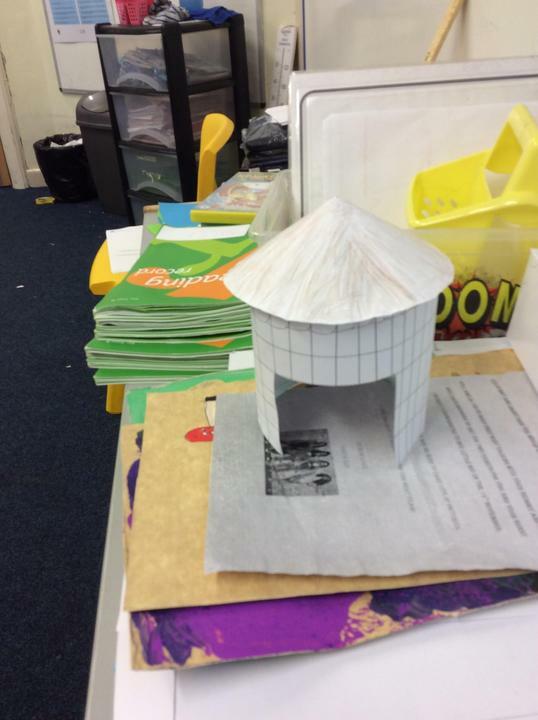 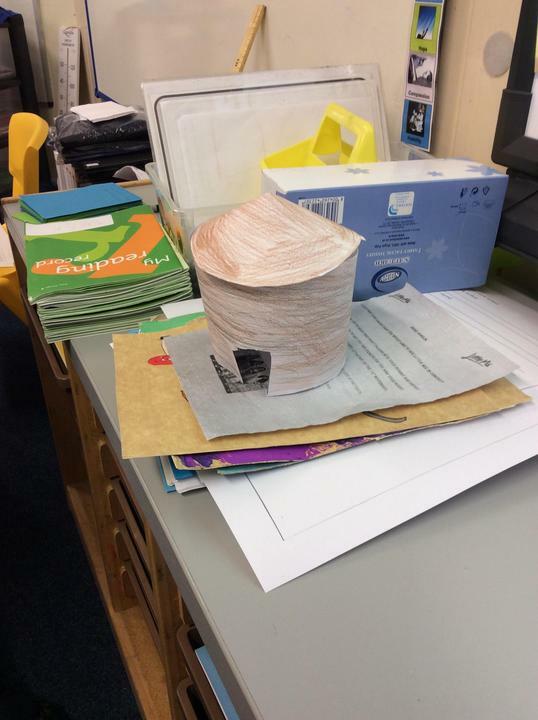 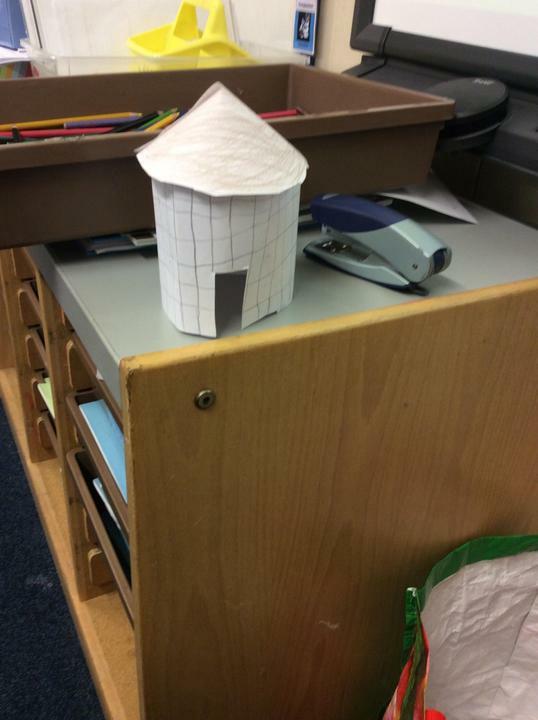 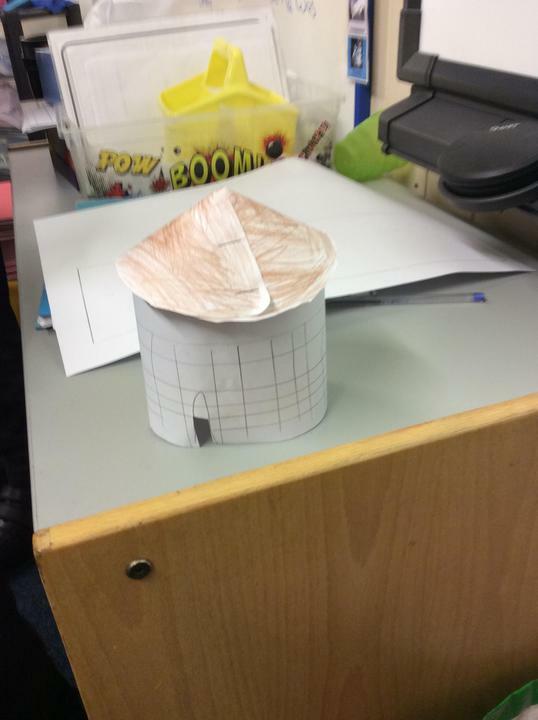 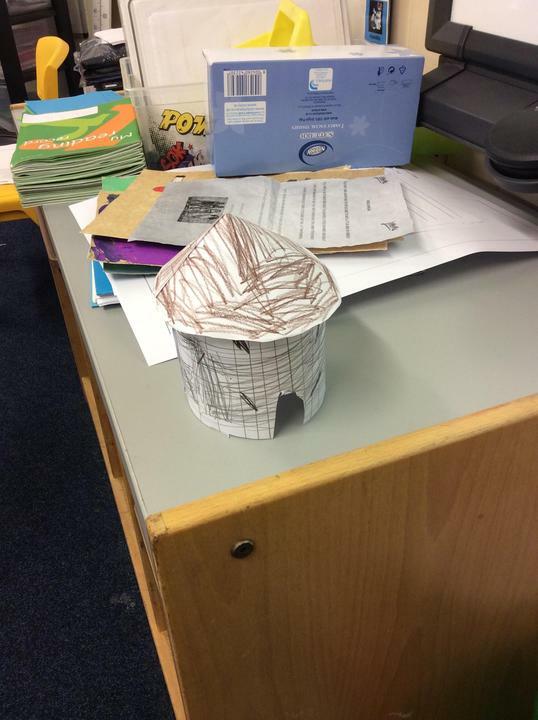 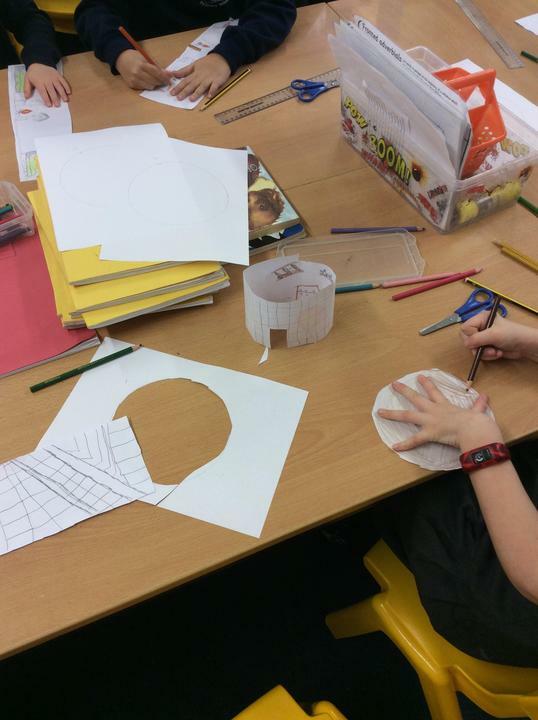 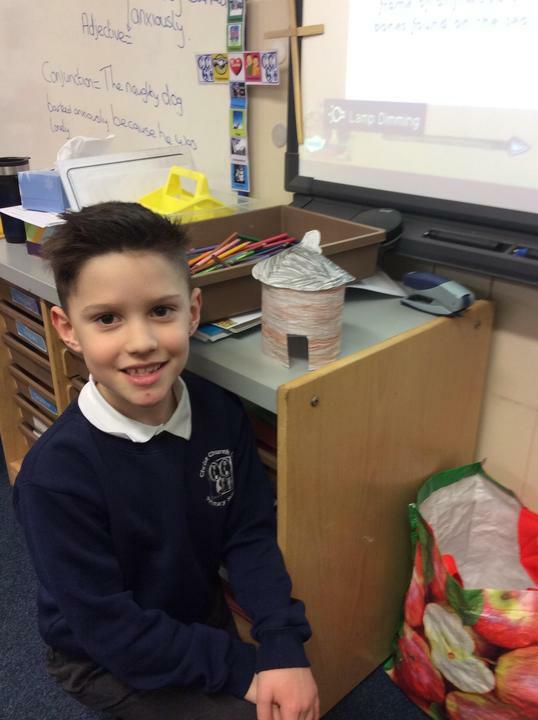 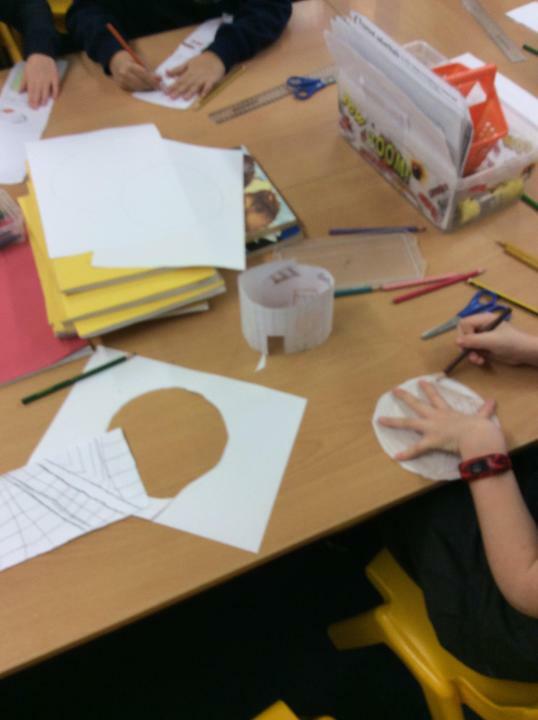 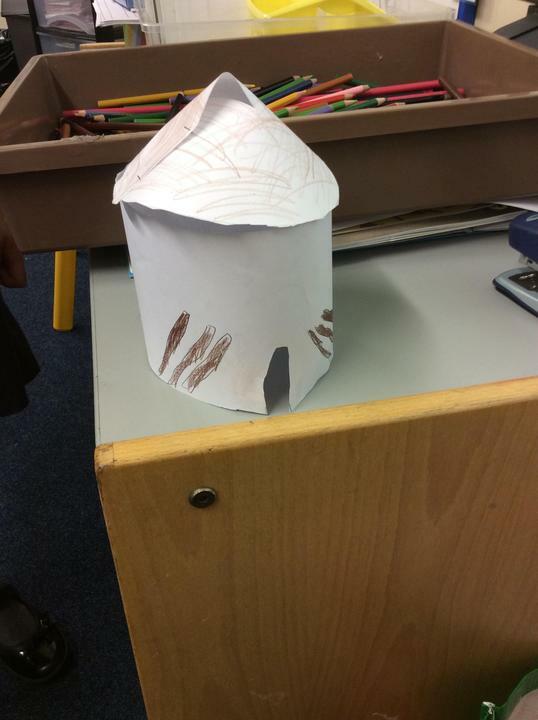 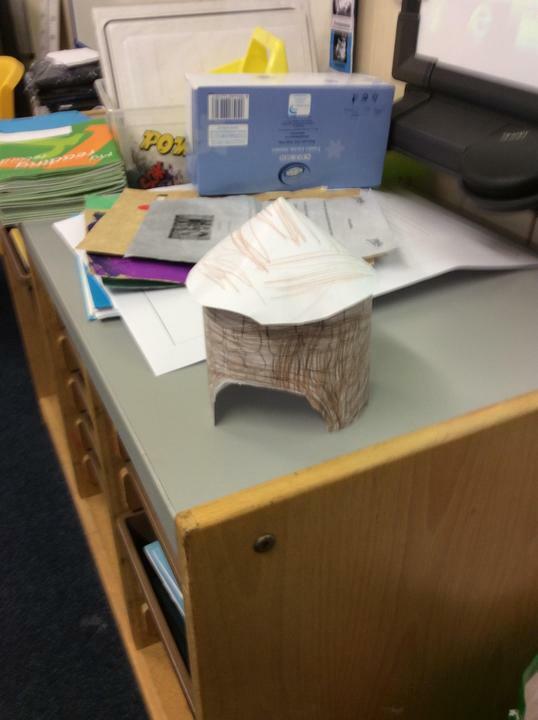 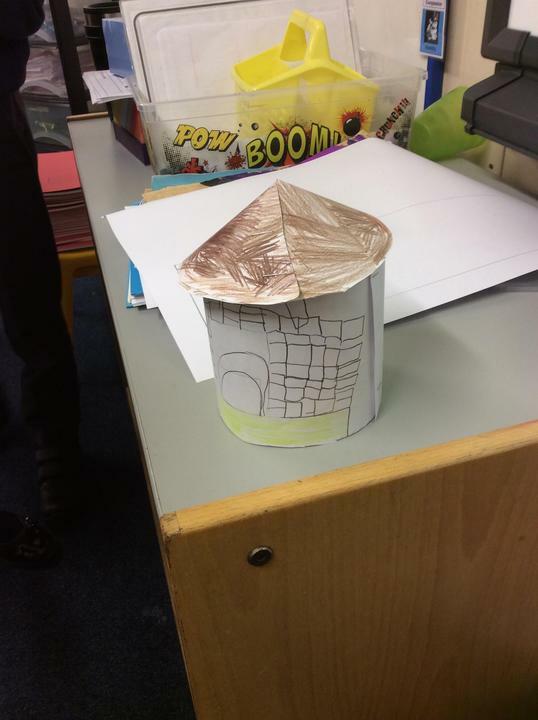 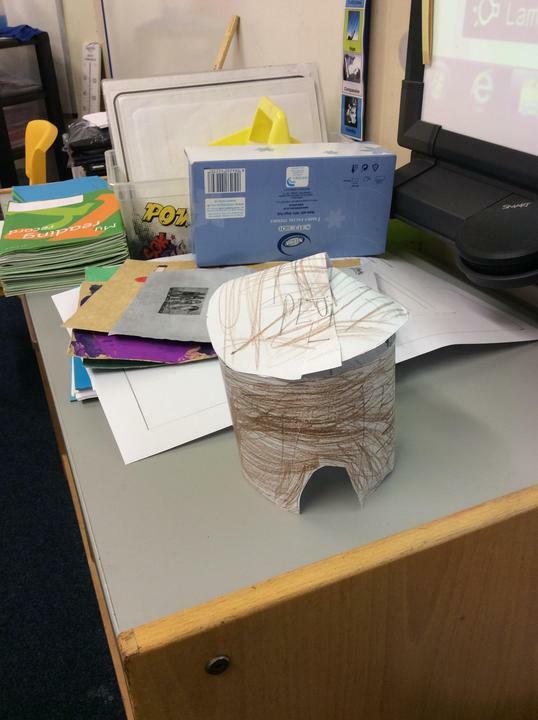 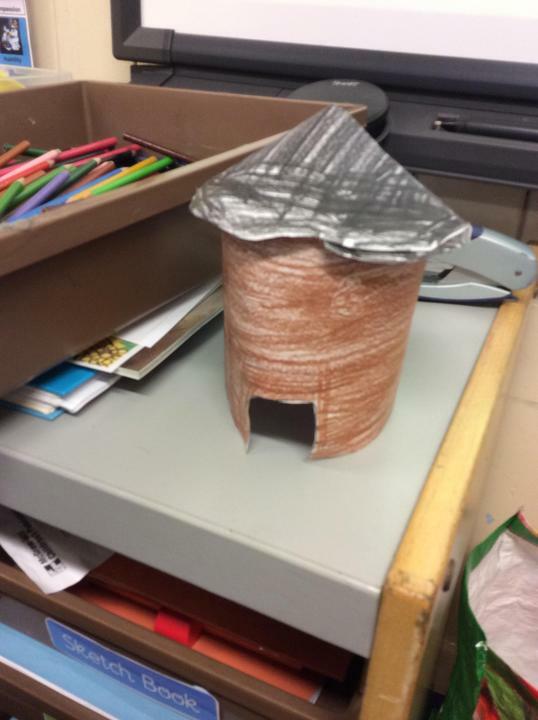 Check out our mesolithic round houses from the Stone Age period! 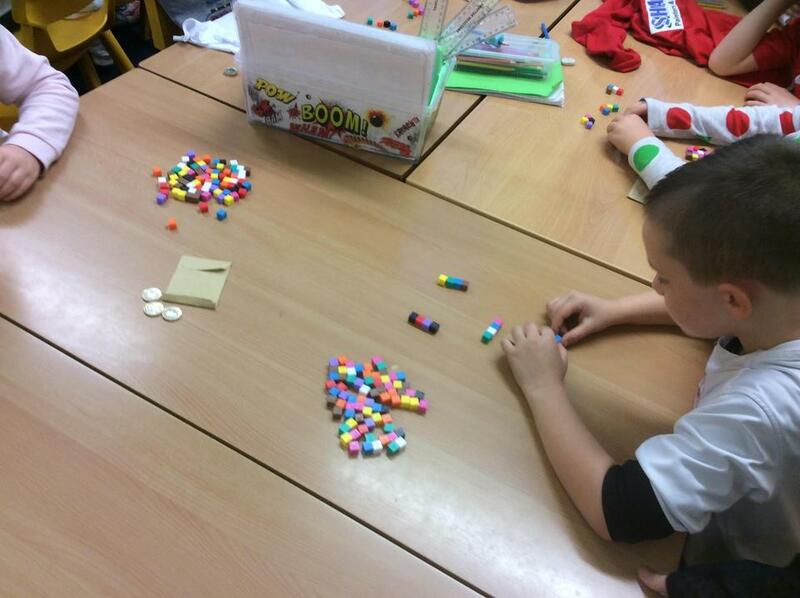 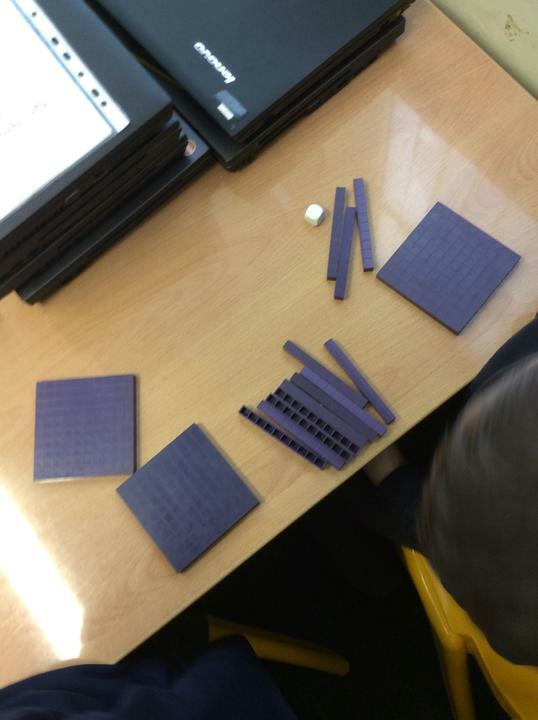 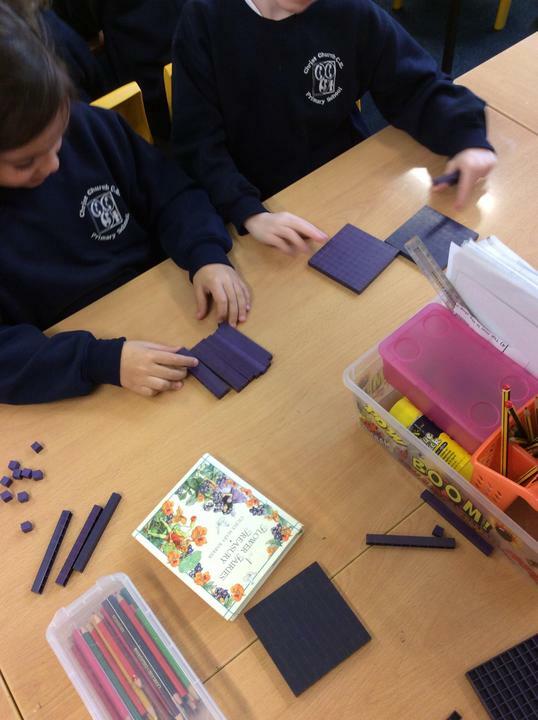 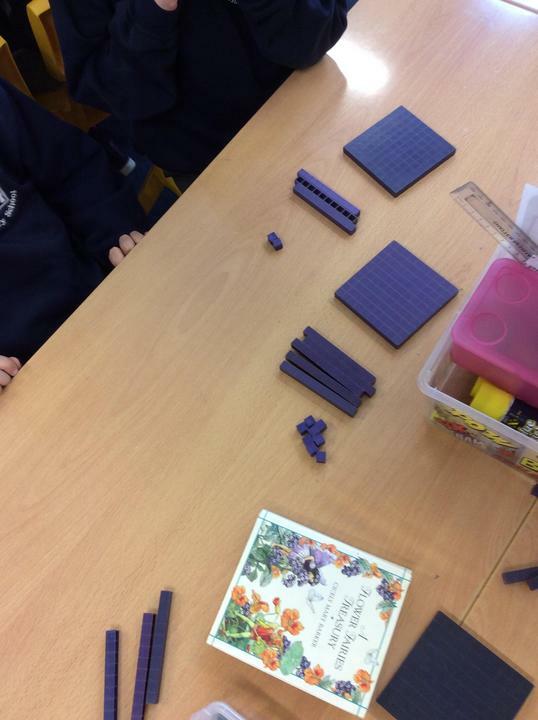 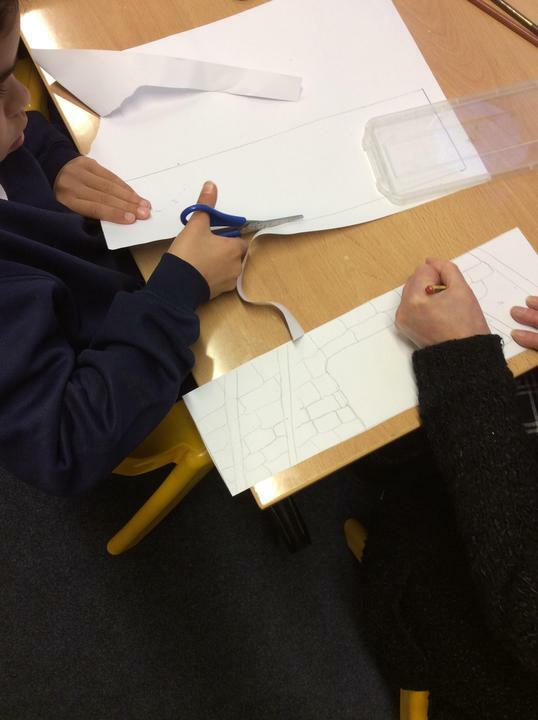 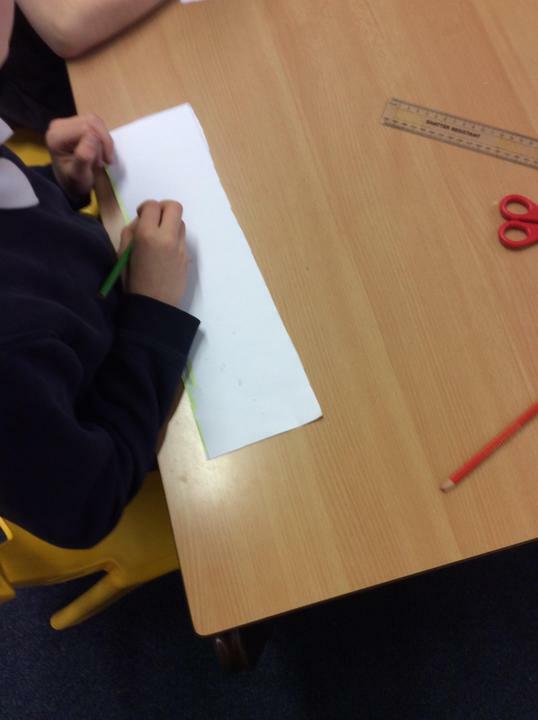 Year Three using concrete materials to further their understanding of repeated subtraction in Maths. 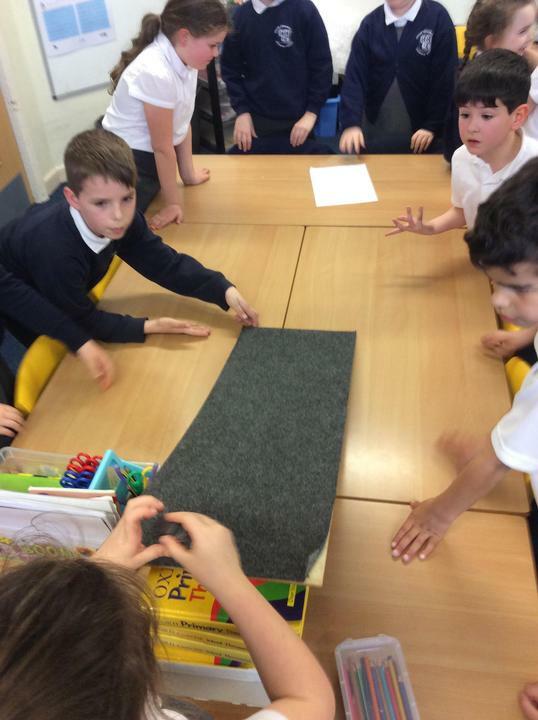 Year Three learnt the story of the Tortoise and the Hare. 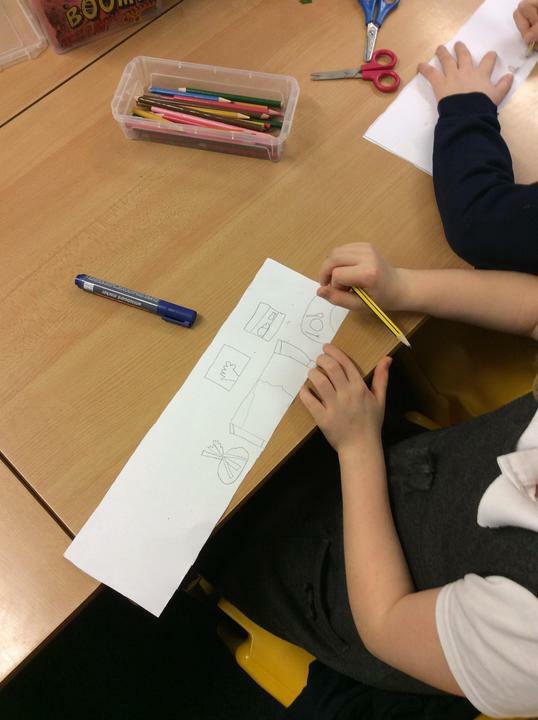 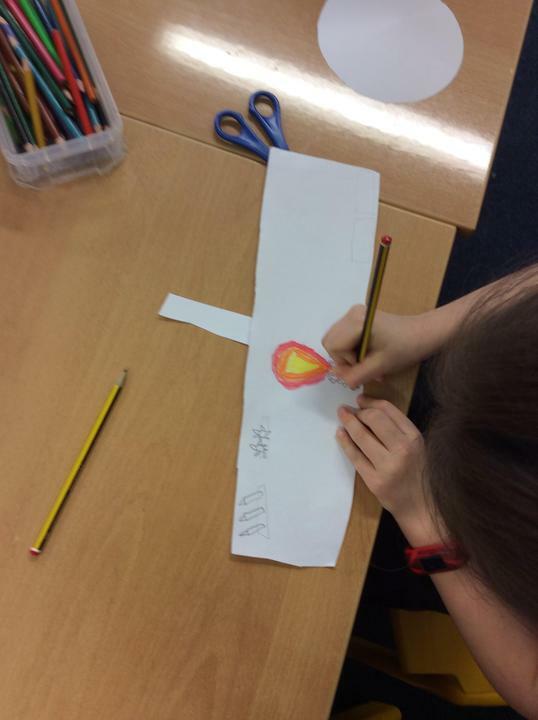 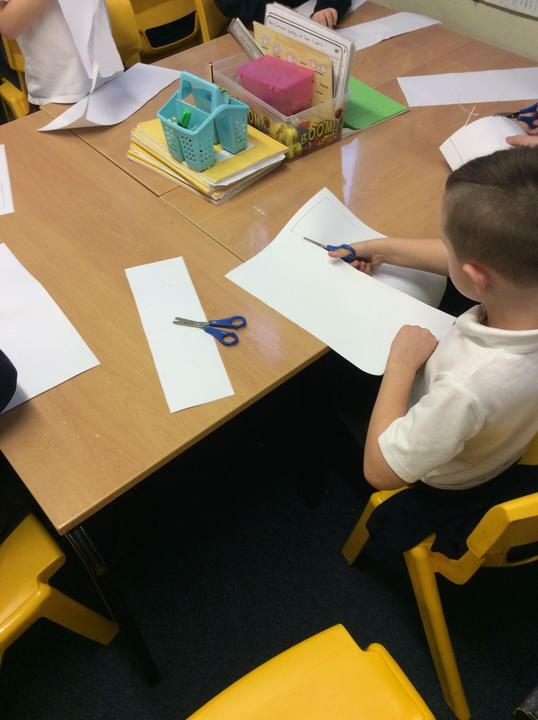 We made comic strips to help us retell the story. 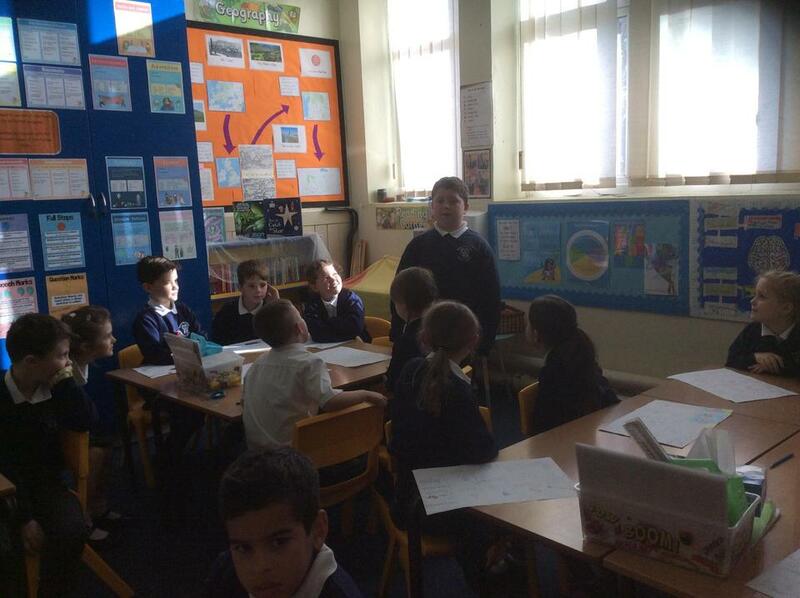 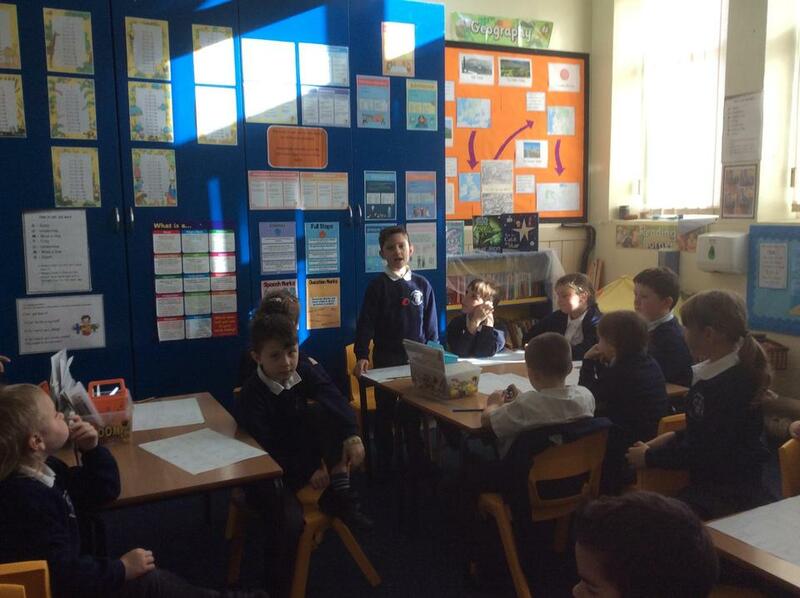 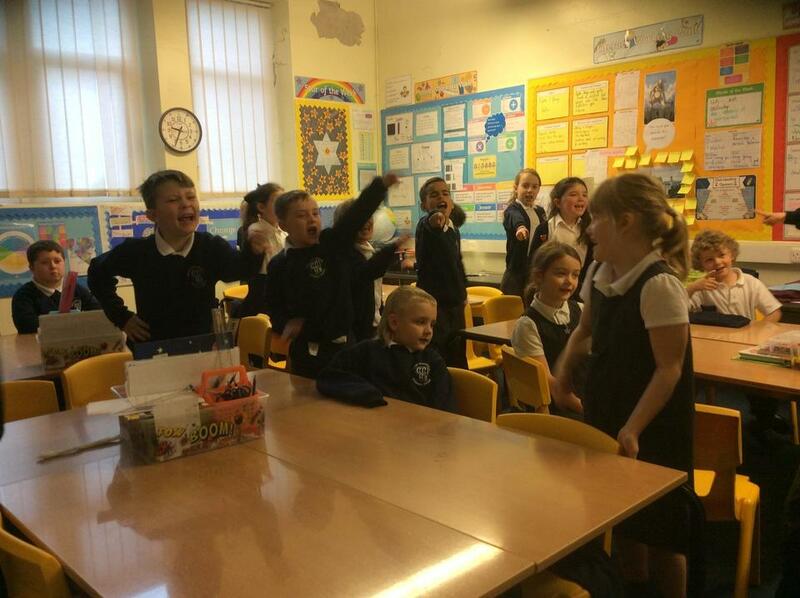 Some of us even had a go at retelling it to the whole class! 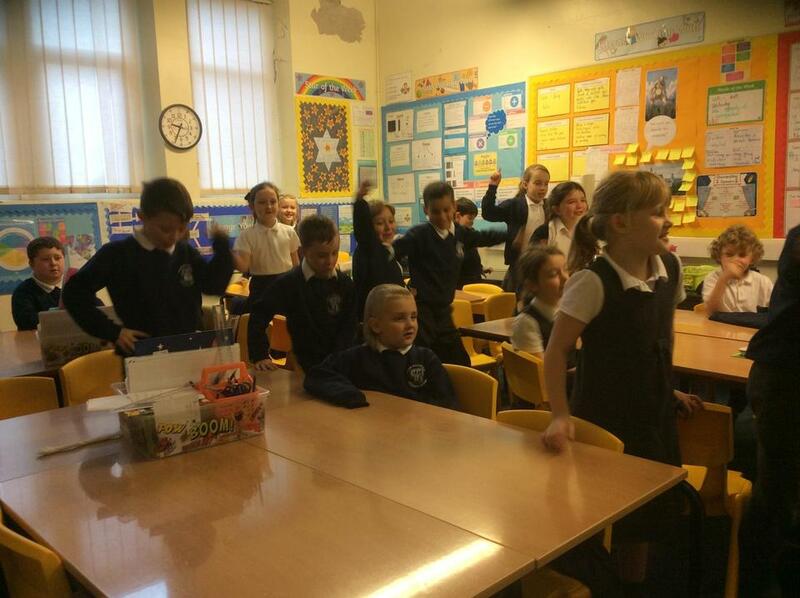 Doing the "Dinner Lady Dance"
On National Poetry Day, Year Three had a great time doing their own "Dinner Lady Dance". 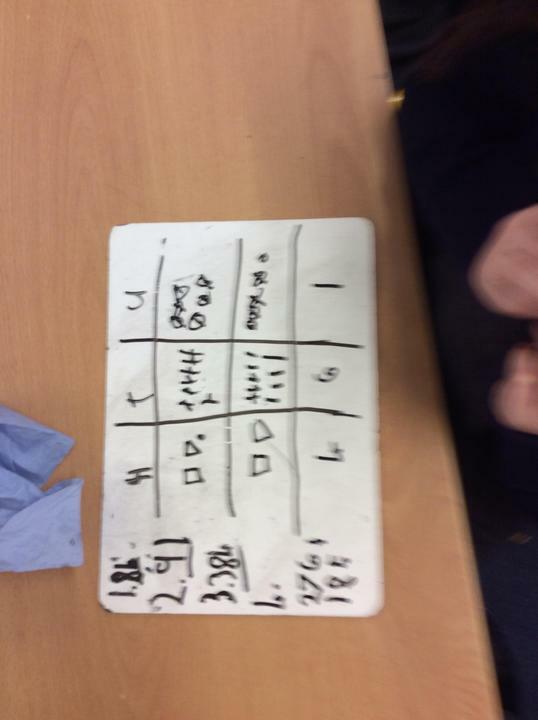 Credit to Ian Bland for such a hilarious poem. 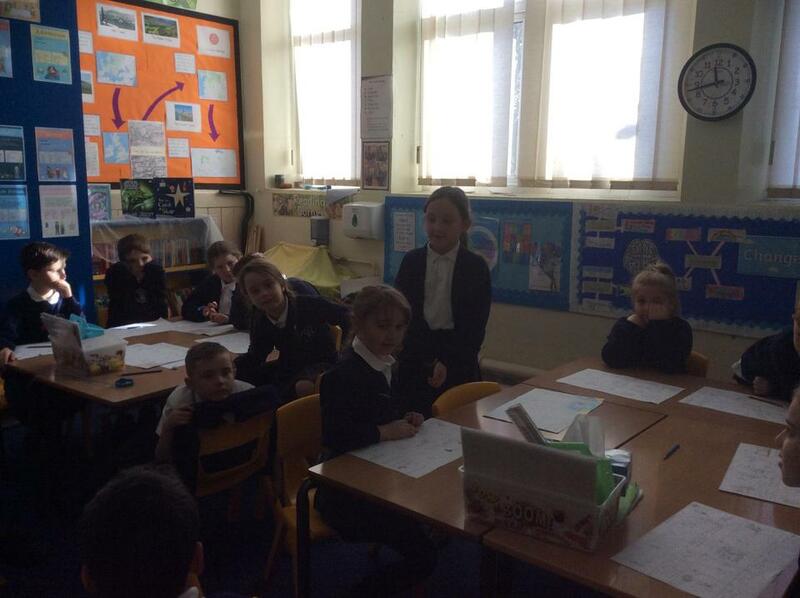 Sharing Our Versions of The Old Woman Who Lived in a Vinegar Bottle. 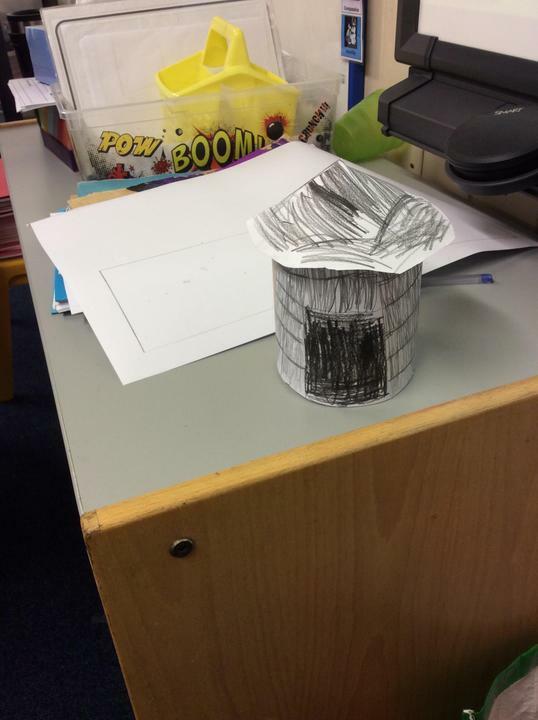 Year Three have been reading the story of the Old Woman who lived in a Vinegar Bottle. 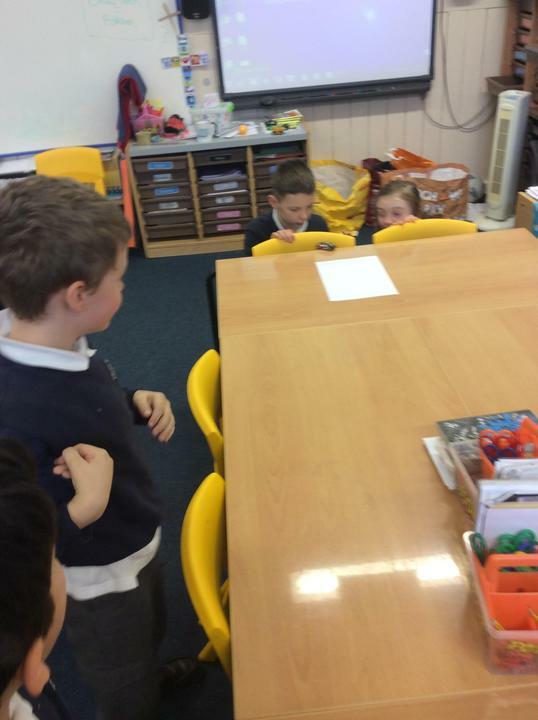 In this story, the poor old woman rescues a magic fish who will grant her anything she wants. 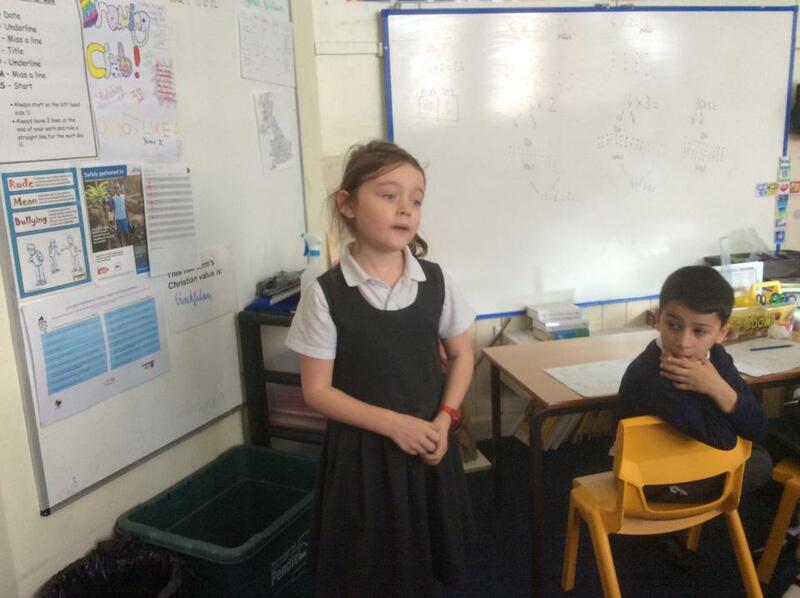 As the story goes on, she becomes greedier and greedier, even losing her manners as she asks for things. 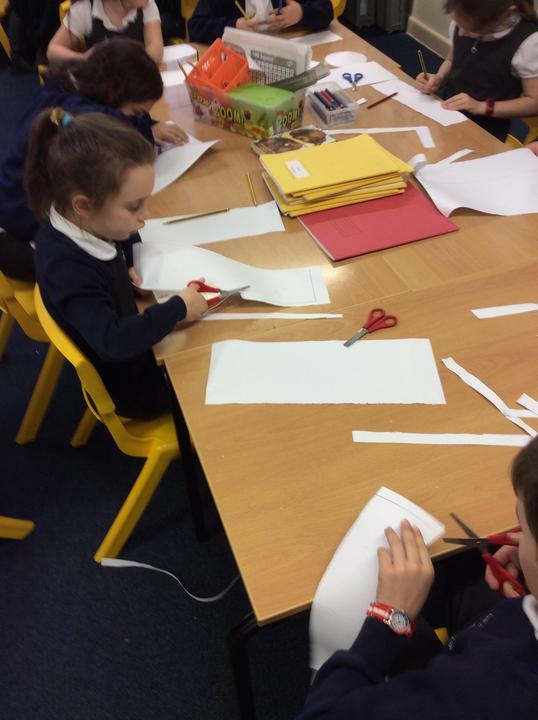 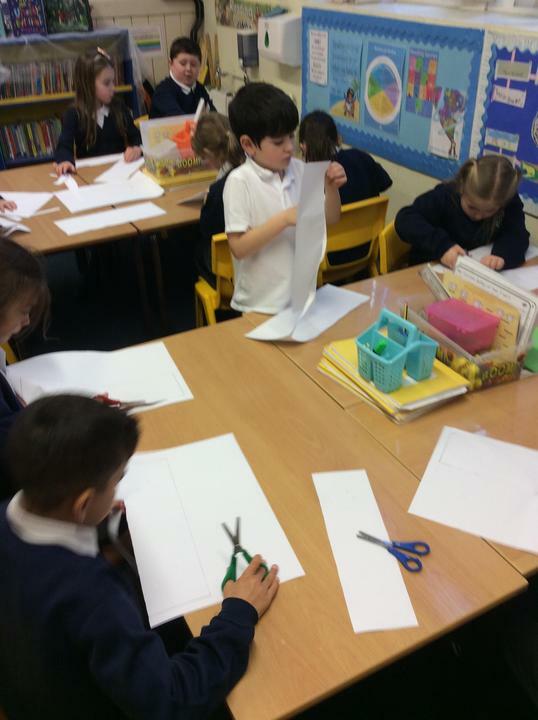 We have created our own versions of the story in pairs. 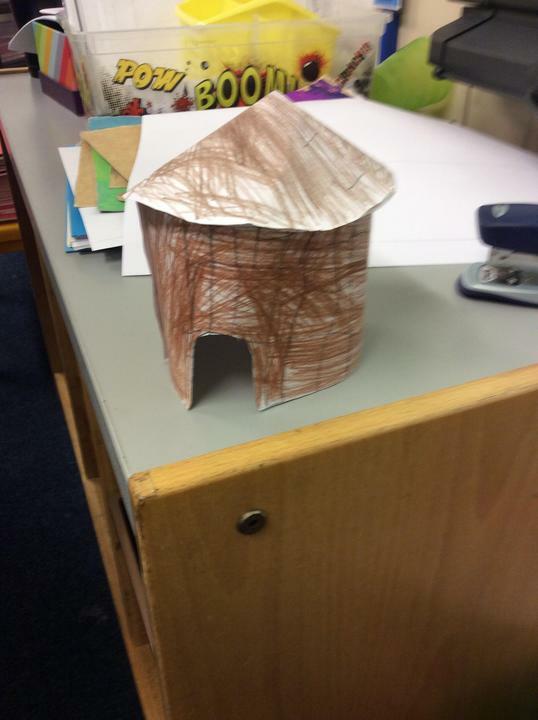 Some of us chose to follow the original plot but change the details. 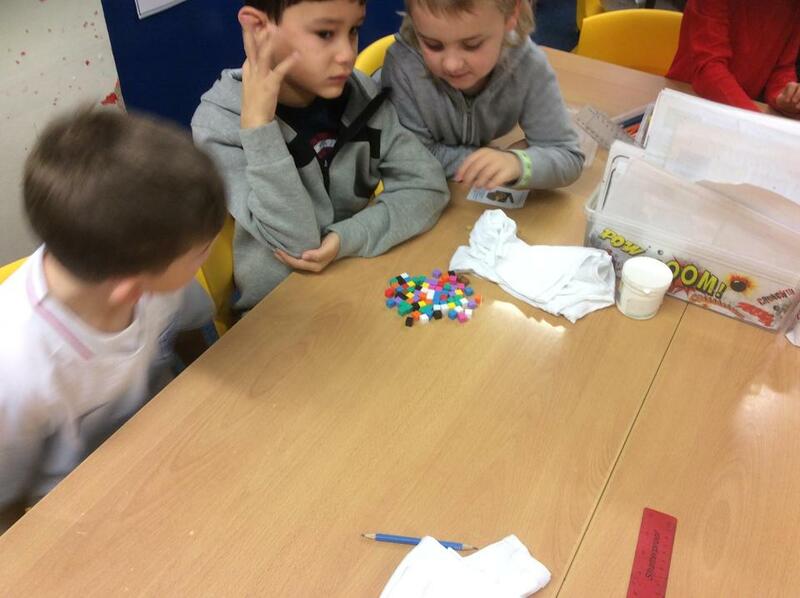 Others reversed the story, making it appear that a rich and greedy person is taught a lesson about being humble. 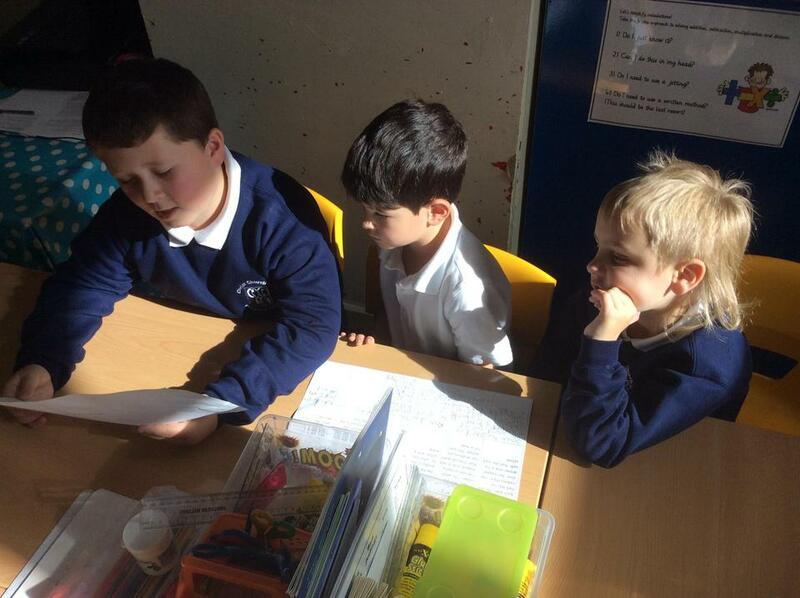 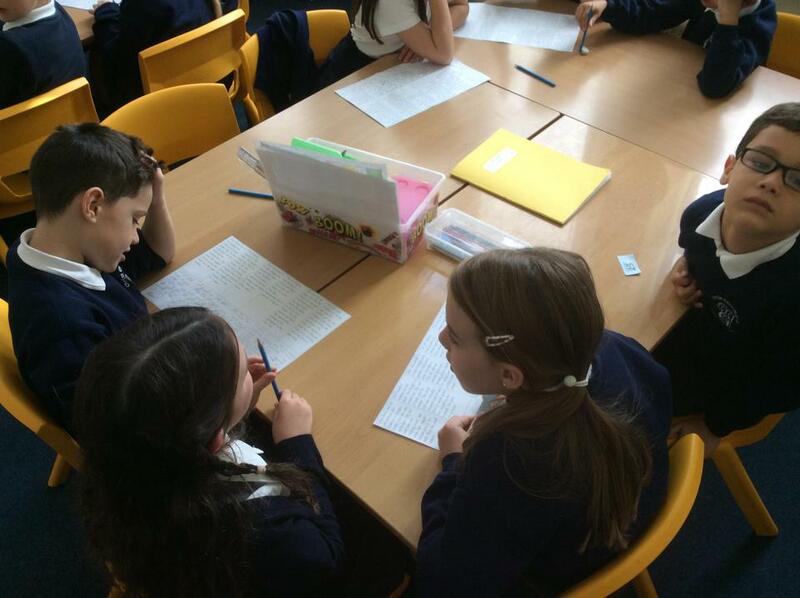 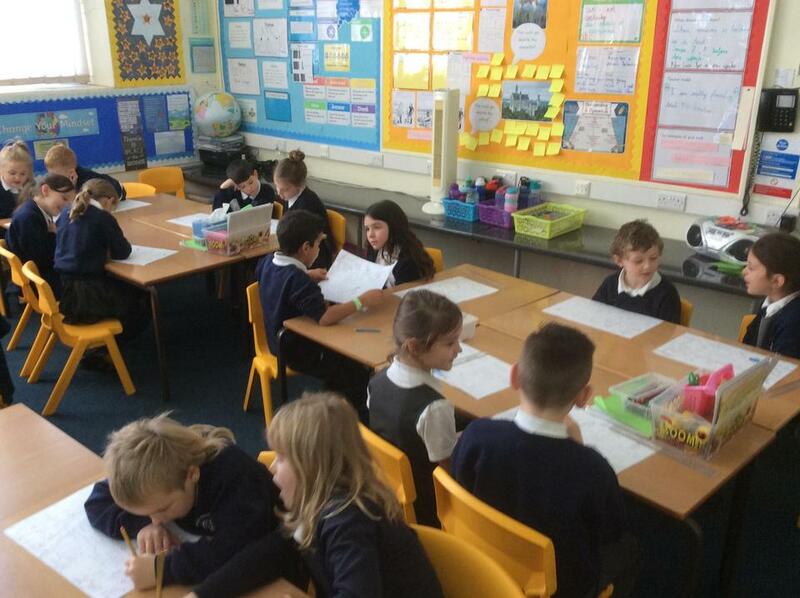 Here we are reading our story plots to another pair. 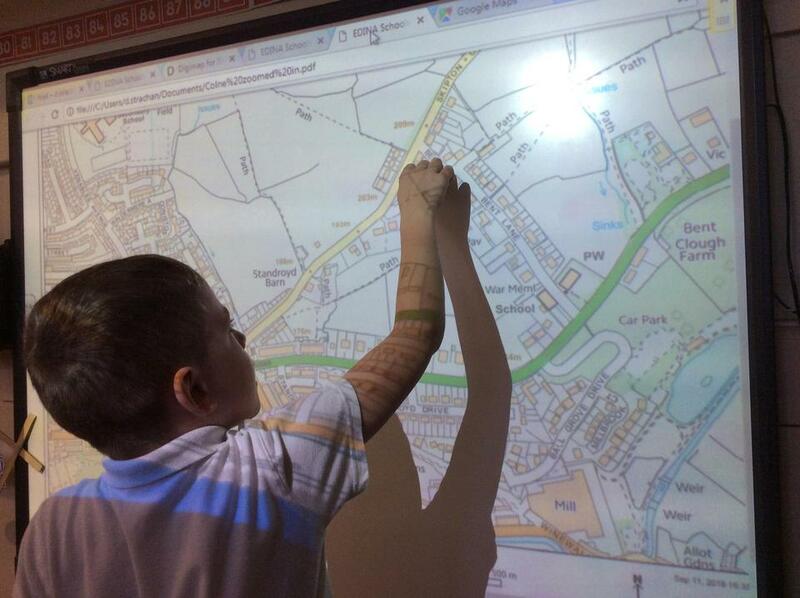 Following on from our previous learning, we compared Victorian maps of the area with modern OS maps. 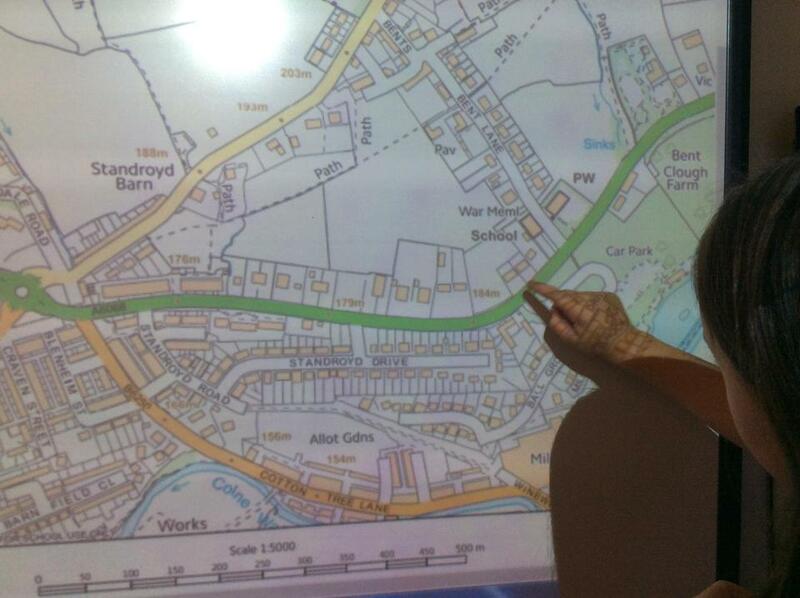 We spotted that the junction at Taylor's shop is still there, although it is a roundabout now. 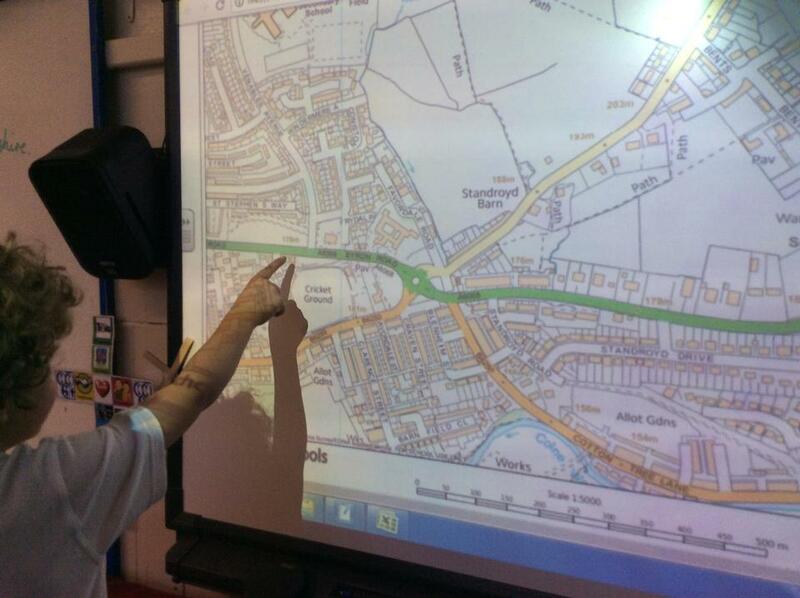 Other things which were the same are Colne Cricket Club, Keighley Road, Castle Road and various names of the hills. 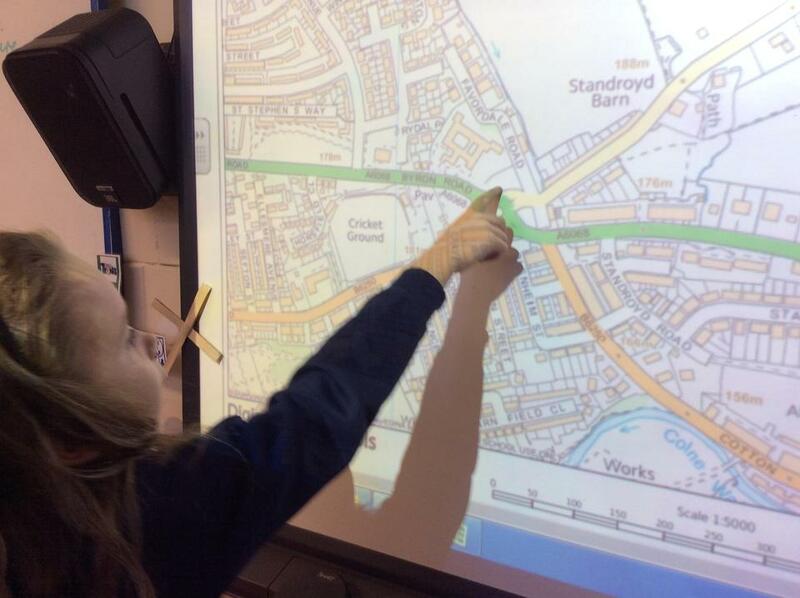 Differences included the fact that Park High and Park Primary were not built so were not on the Victorian map. 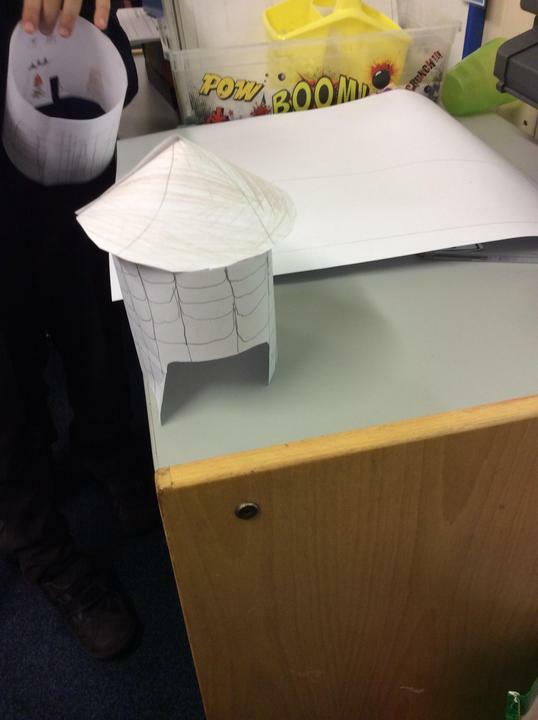 More houses have been built since the Victorian map was created. 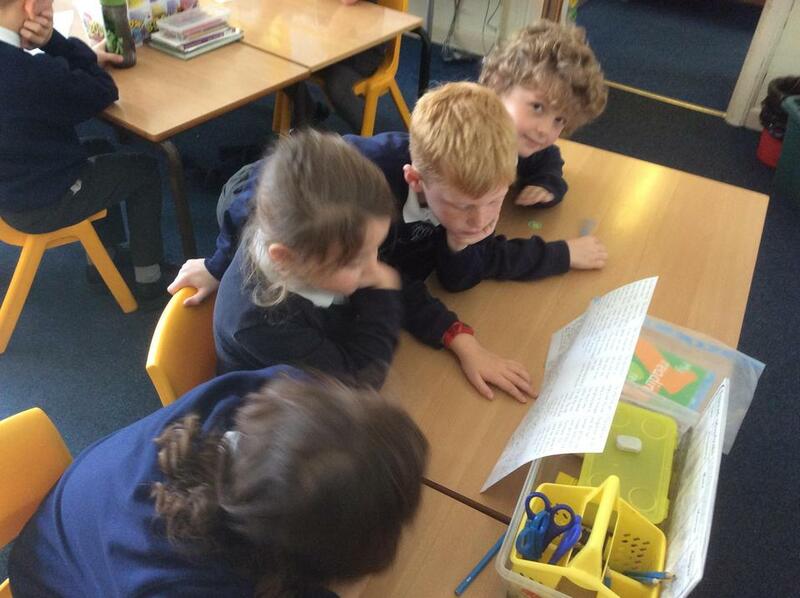 Year Three have been looking at different OS maps of our local area. 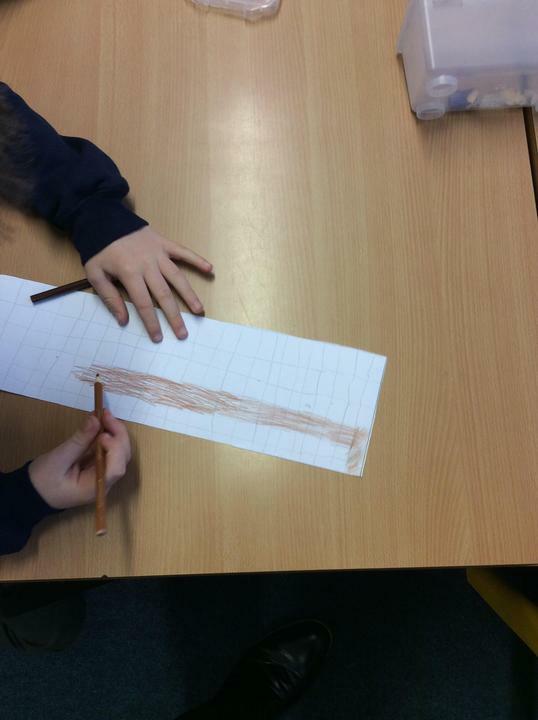 We looked at how the scale of the map has an impact on how an area is represented and how the map looks.